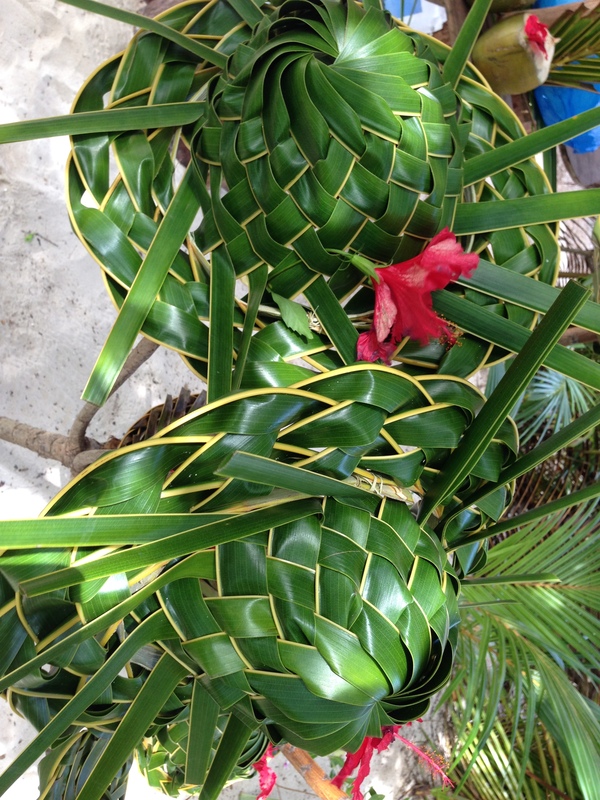 The Creole spirit is felt everywhere you go throughout these islands. 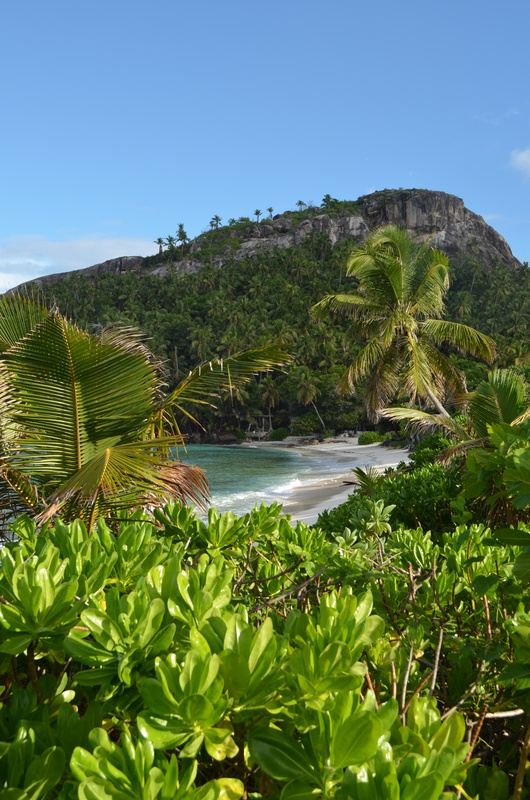 One of the world’s best kept secrets, the Seychelles are a natural treasure trove of 115 granite and coral islands, with pristine beaches and lush forests. 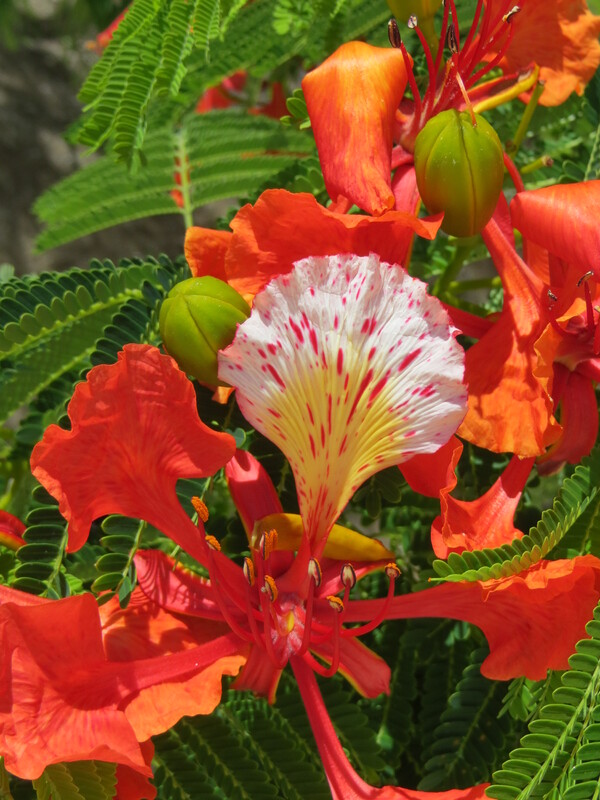 Each island has its own ecosystem, where various endemic species are found nowhere else on Earth. 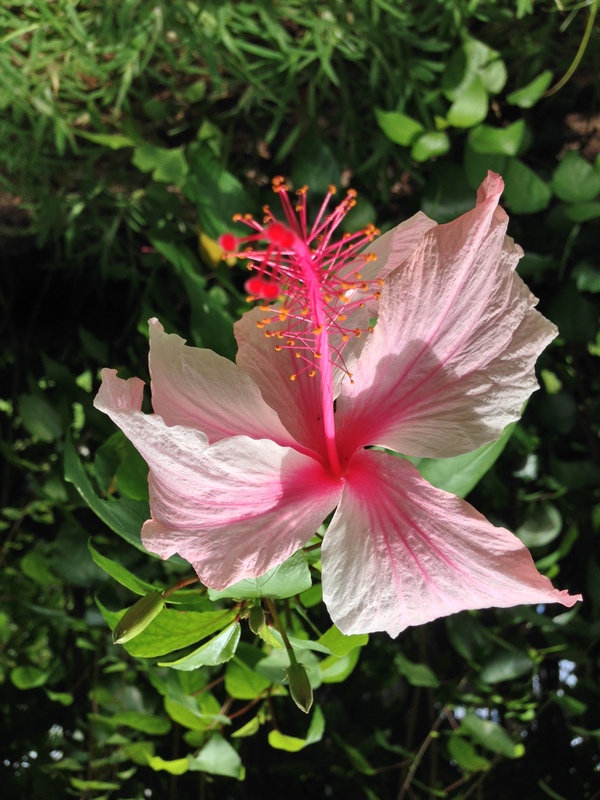 You’ll find takamaka trees, coco de mer, and giant tortoises, the black paradise flycatcher and magpie robin. 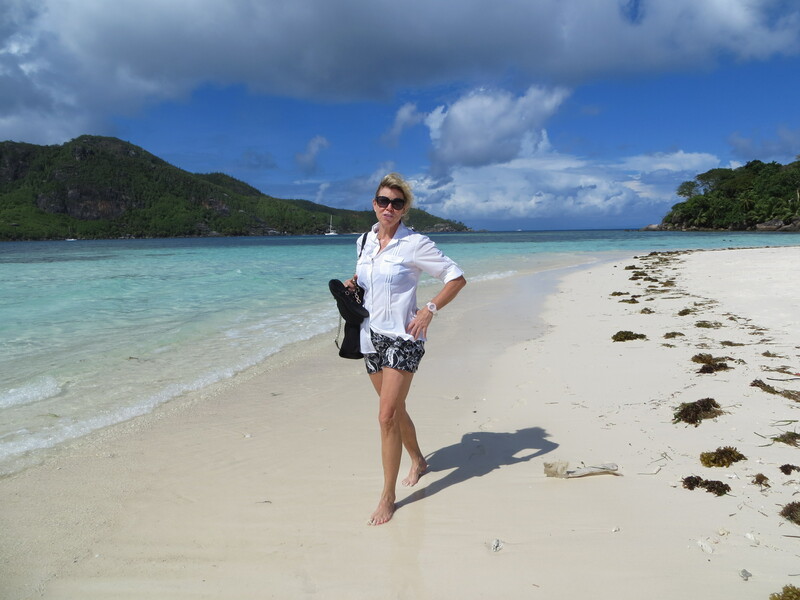 I dug my toes into the white sand as we walked the long stretch of beach to our villa. 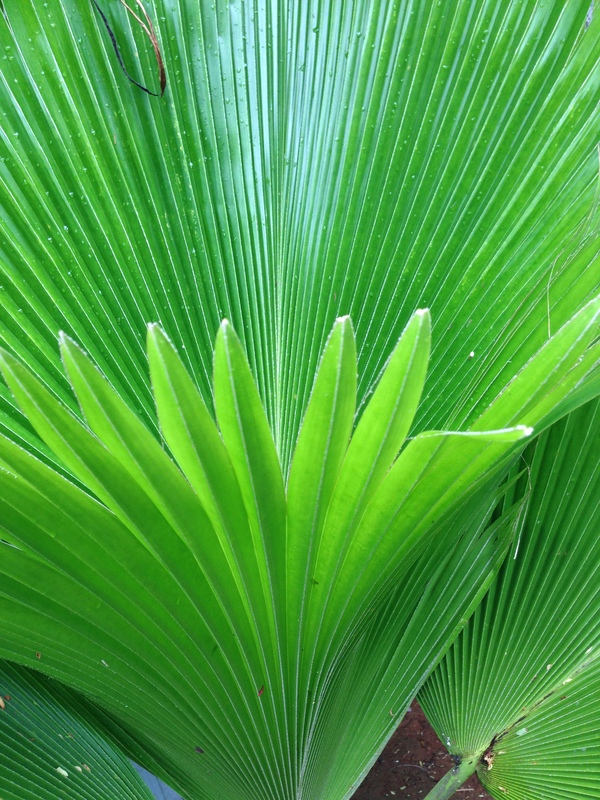 The warm ocean lapped over our bare feet, the gentle breeze waved the palm fronds towards us as though greeting us to our Eden. 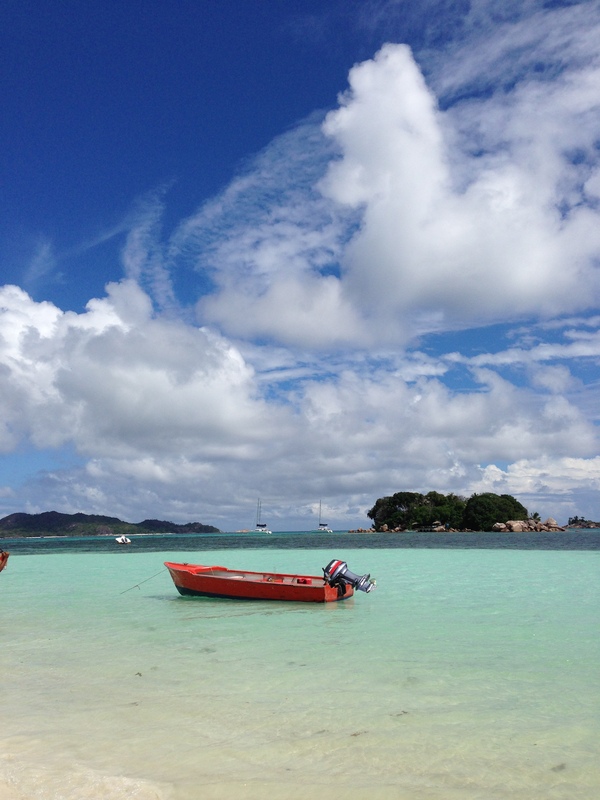 Those who have spent time in the Seychelles call it “heaven on earth”. 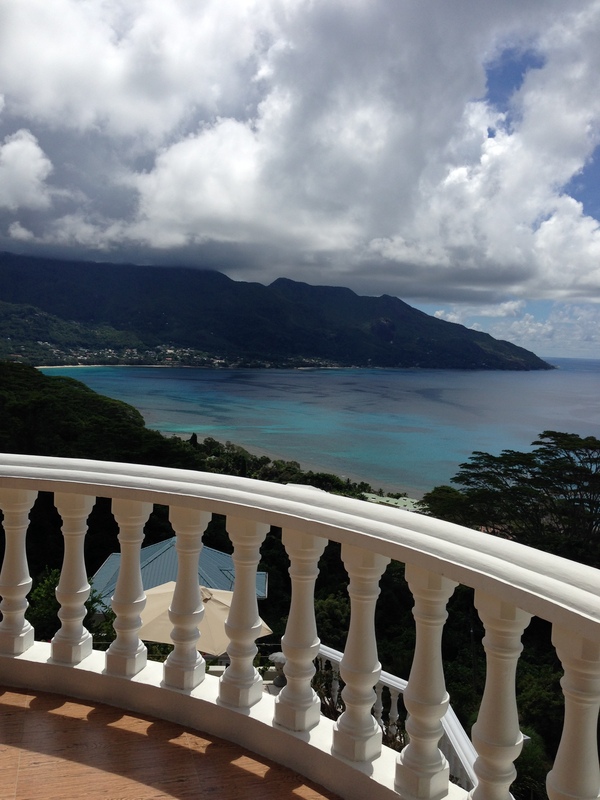 There’s no place like this and the Seychellois people are ready to share the beauty of their islands with you. Relax, but get out and explore! 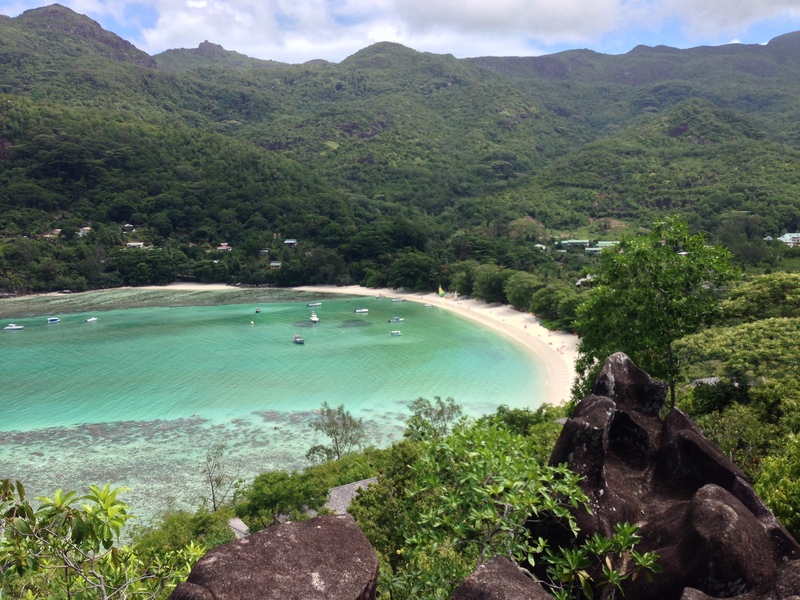 Here are our Top 10 Things to Do when visiting the Seychelles. 1. 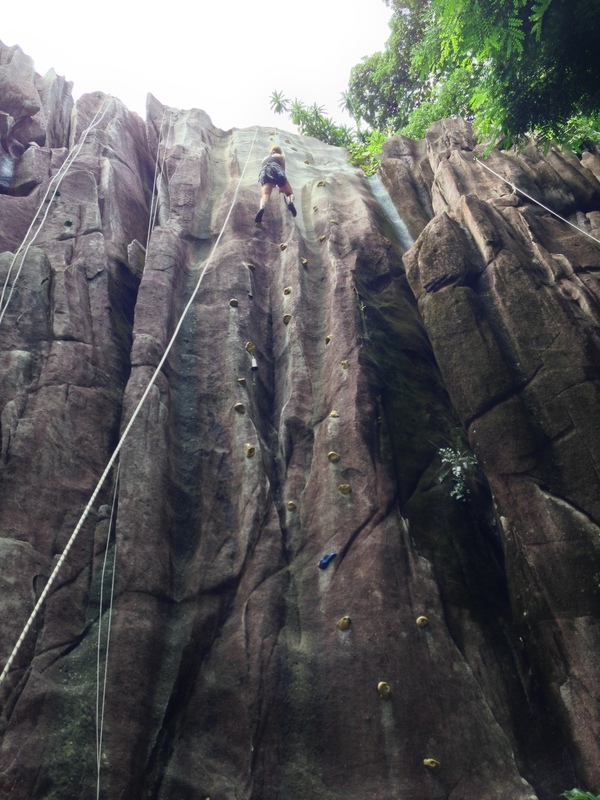 Rock climb and zipline: both of these activities are located at Constance Ephelia – make a reservation with SMAC Adventures. Our SMAC Adventure guides were fantastic! 2. 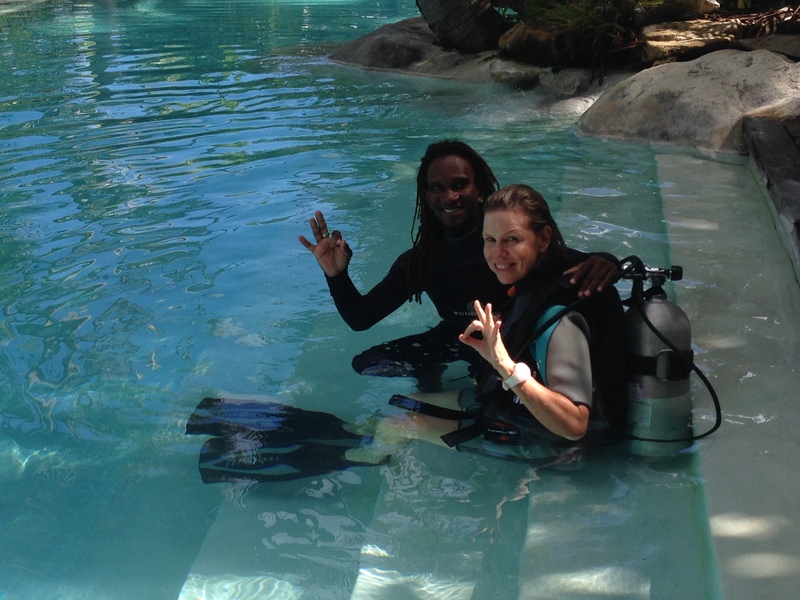 Scuba dive and discover the local marine life. 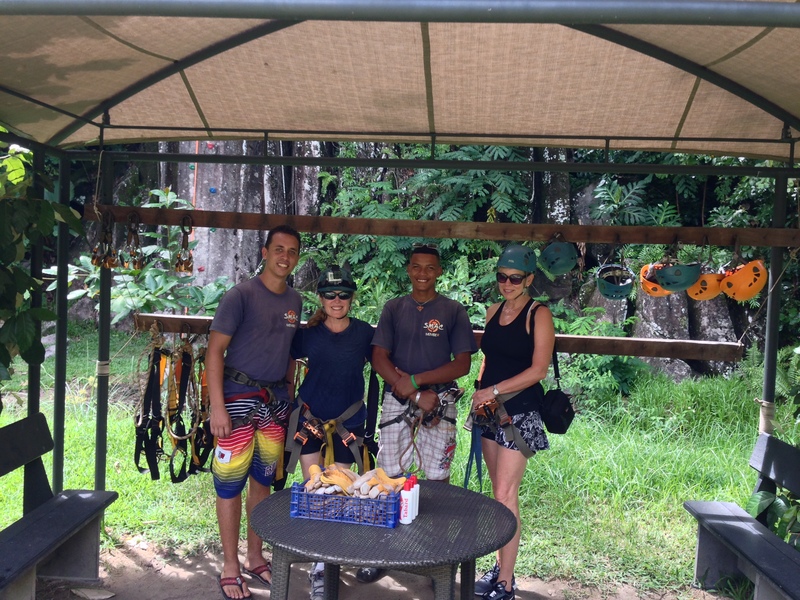 We dove the waters of North Island with a hawksbill turtle – unforgettable! 3. 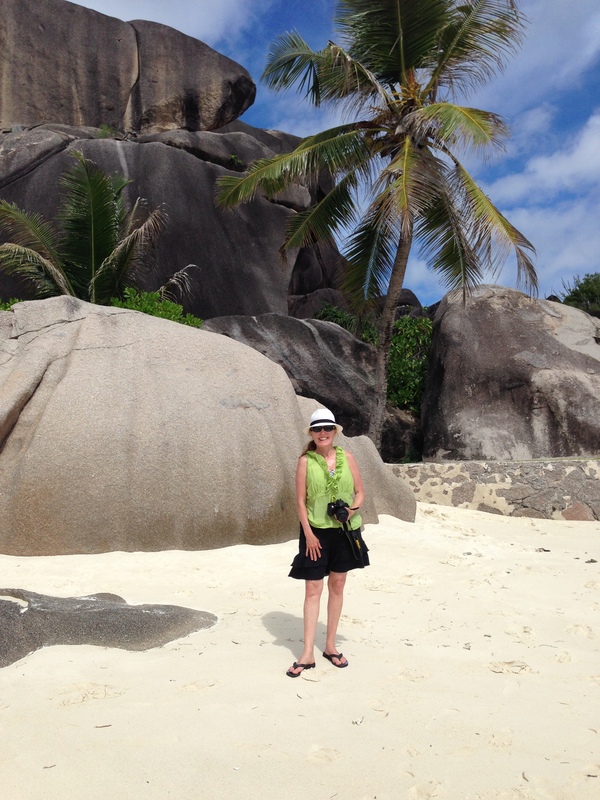 Island Hop and spend a day on La Digue where you can cycle around the island, and walk/hike the famous rock beaches. 4. 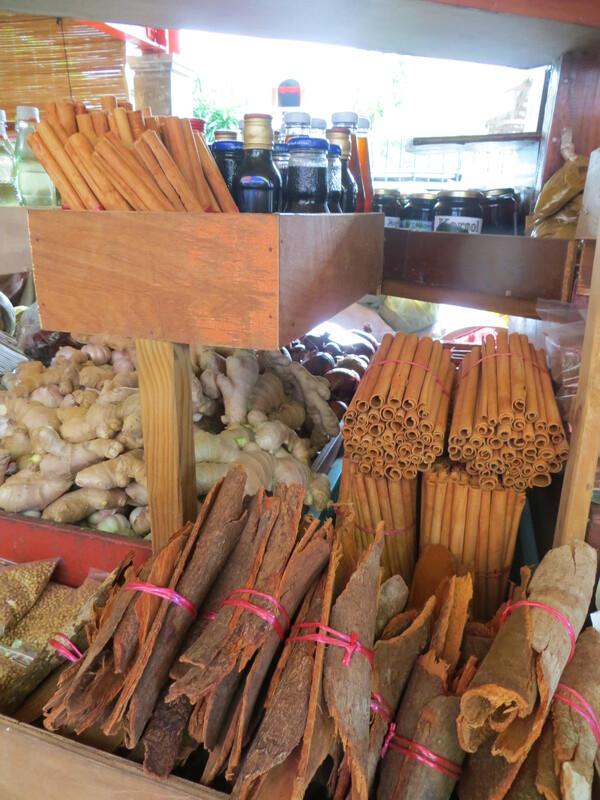 Tour Victoria (capitol of the largest island of Mahé) – stroll through the botanical gardens, tea plantation, and visit the local market to experience the sights and sounds of people buying local produce, vanilla, spices, and more! 5. Enjoy the sun & watch every sunrise and sunset. 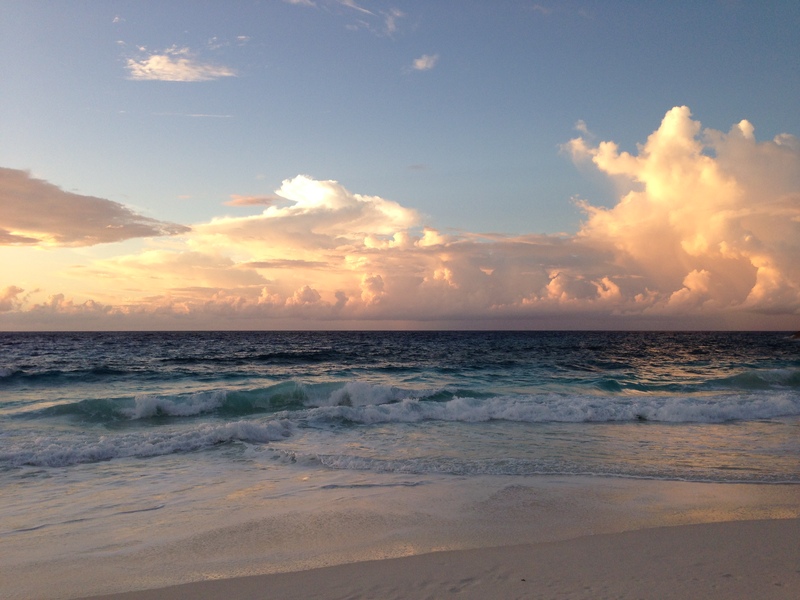 Go on a sunset cruise, or watch the sun rise and set from your hotel villa or private beach. 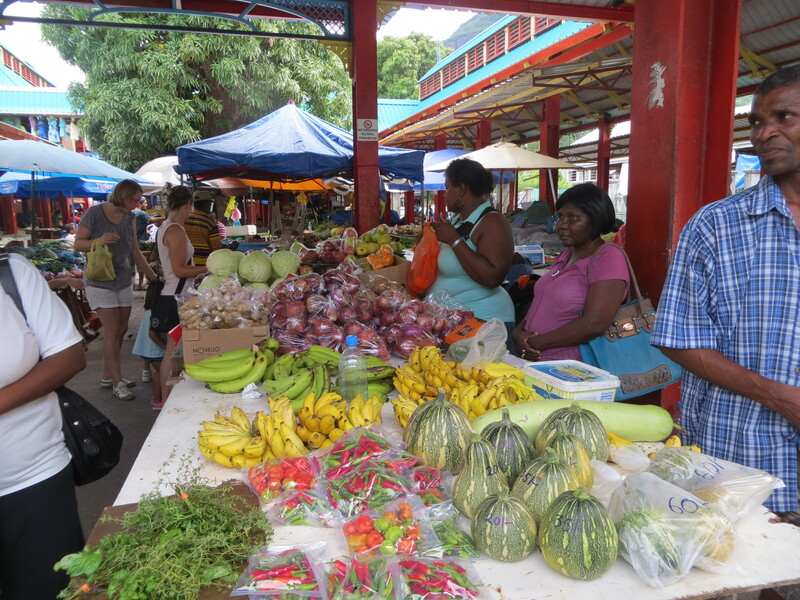 Picnic on a catamaran, or go horseback riding on the beach or on island trails. 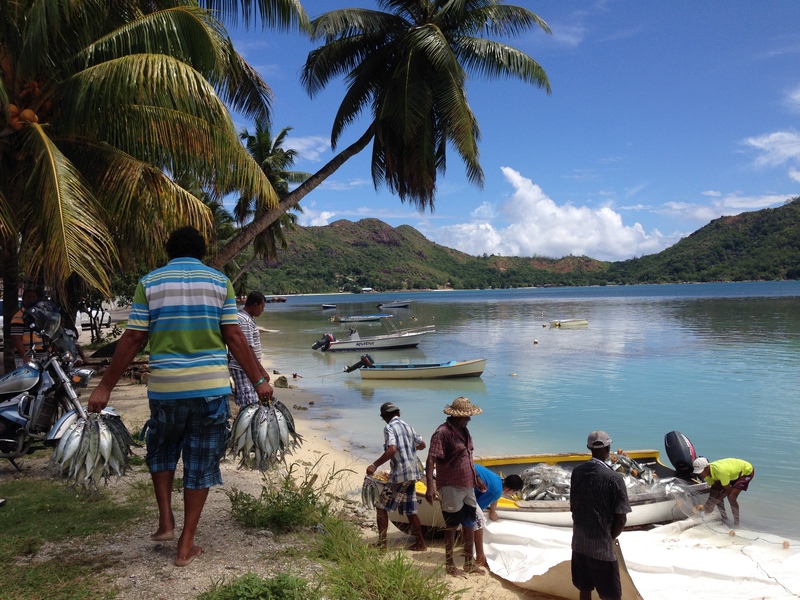 Interact with the locals along the shore, watch local fishermen come in with their catch of the day. 6. 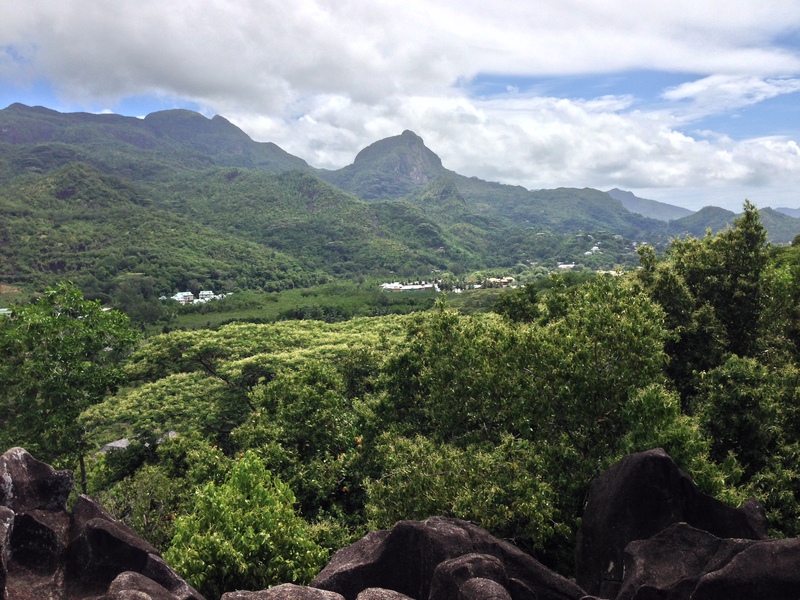 Drive the islands and go to the high points for magnificent views. 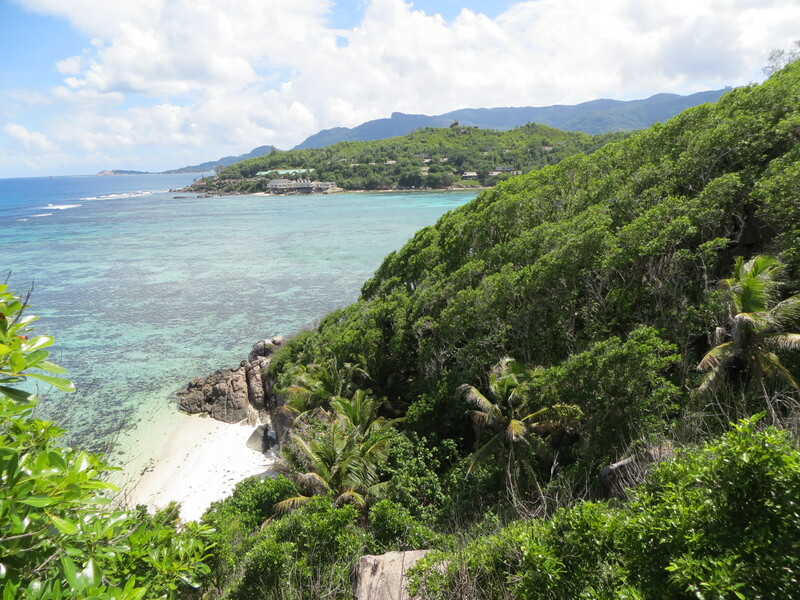 Petit Amour offers spectacular views of Silhouette Island, or hike to the highest point of the Seychelles on Mahé at Morne Seychellois National Park for panoramic views. 7. 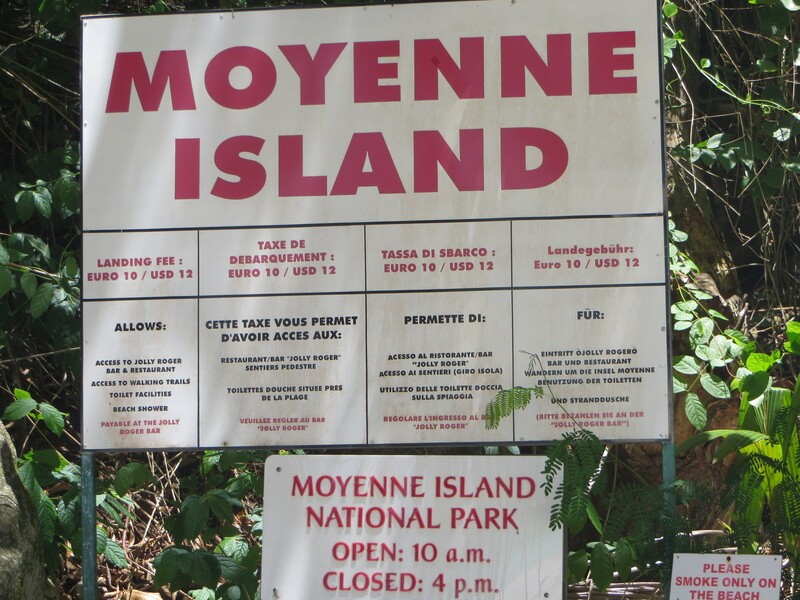 Snorkel at Sainte Anne Resort and visit nearby Moyenne Island where you can hike around the island. 8. 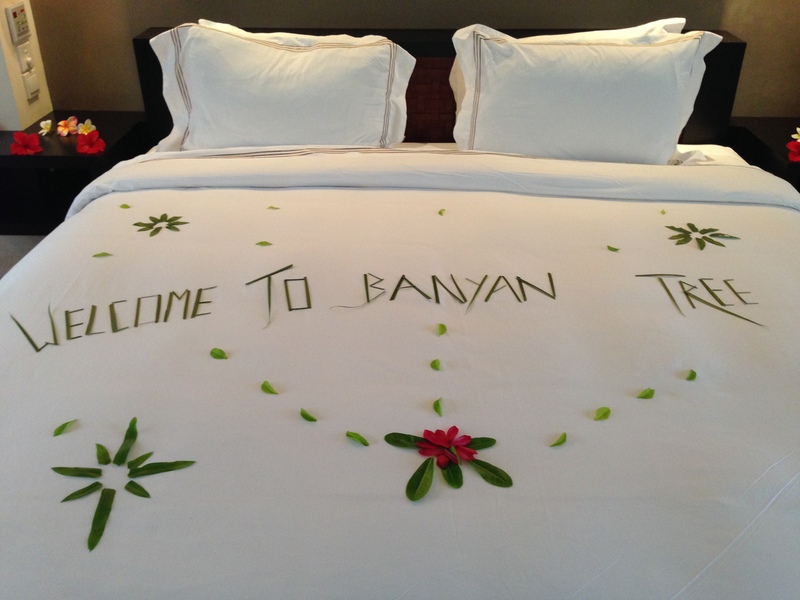 Check in for a tropical massage at MAIA, Four Seasons, Constance and Banyan Tree are a treat! 9. 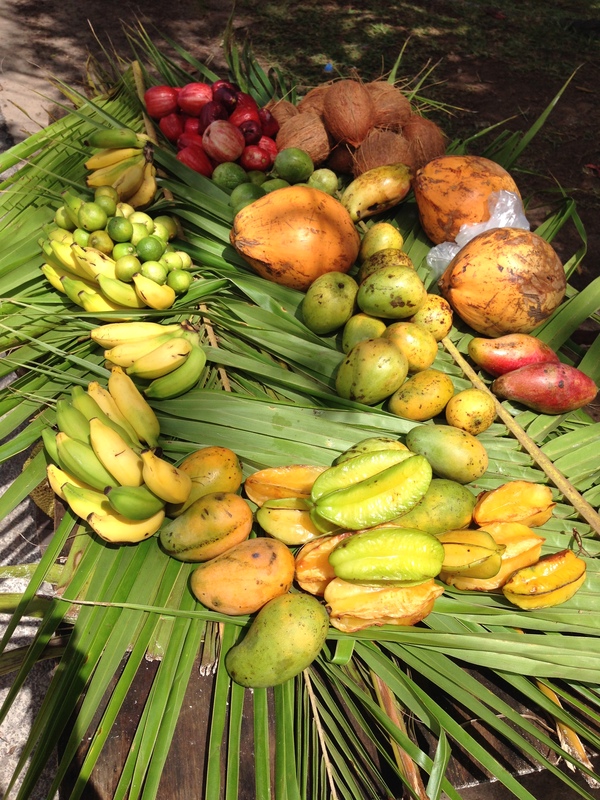 Enjoy the delicious Seychellois food – dine at the local Creole restaurants, enjoy the tropical fruit and refreshing drinks. 10. 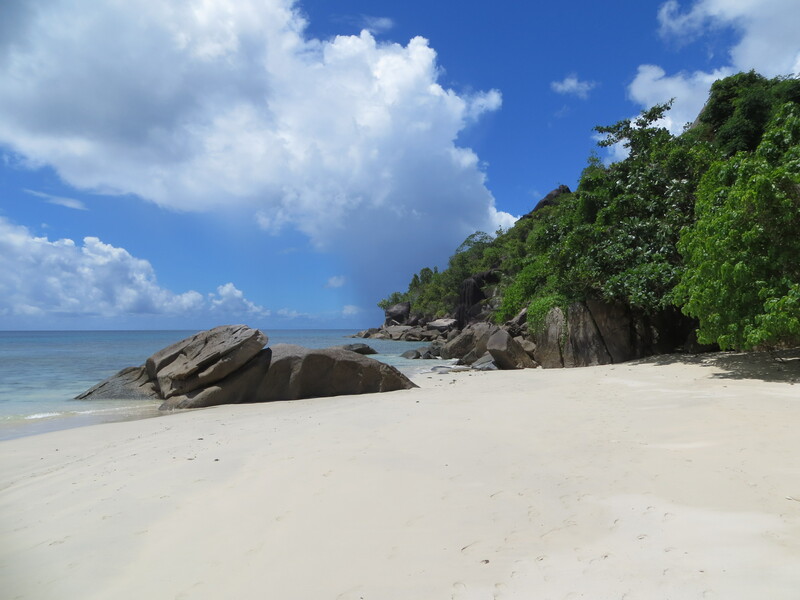 And be sure to visit Praslin (2nd largest island), and walk through the Seychelles “Garden of Eden”, the Vallée de Mai, a UNESCO-designated nature reserve. 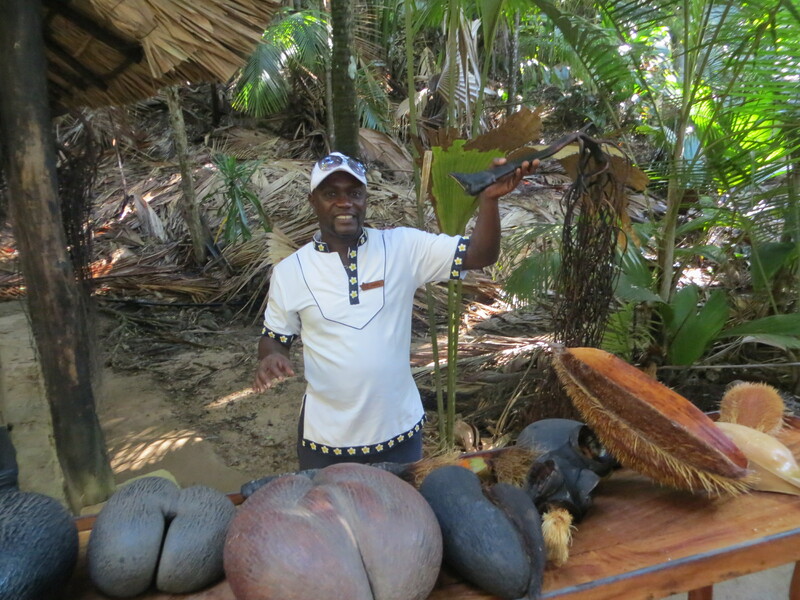 You’ll walk under giant palms, and learn about the indigenous Coco de Mer, and if you’re lucky, you’ll see a Black Parrot! Where to Stay & Dine & Spa? 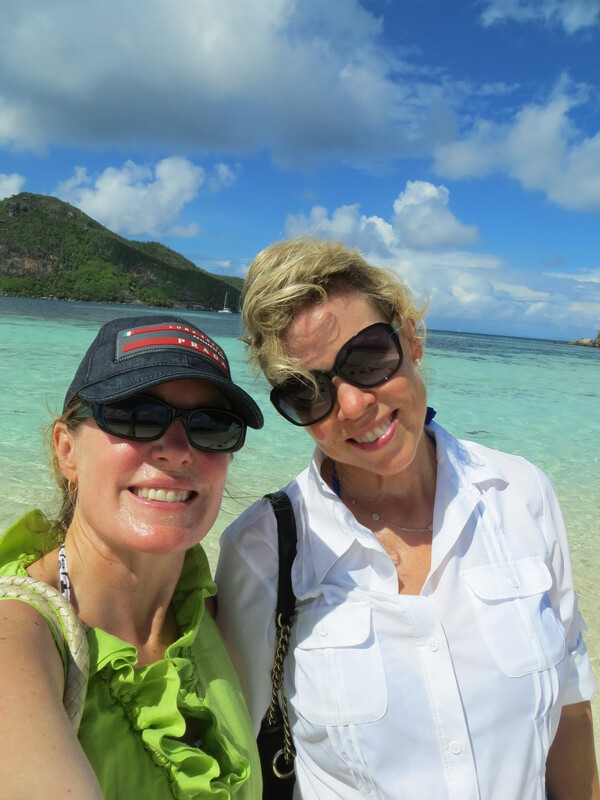 We visited five islands – Mahé, Praslin, La Digue, North Island, and Sainte Anne, and found a variety of resort options. Depending on your holiday needs and preferences, you’ll find an ideal place to stay from the list below. 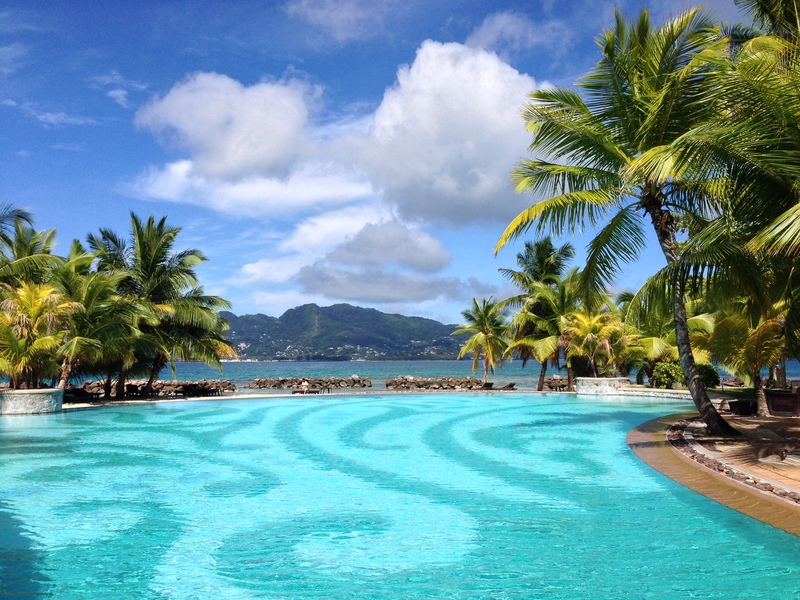 Constance Ephelia – A great place to stay for families, couples, or with friends, this 5-star luxury resort overlooks the Port Launay National Marine Park and offers a variety of activities from zip lining to rock climbing and snorkelling. 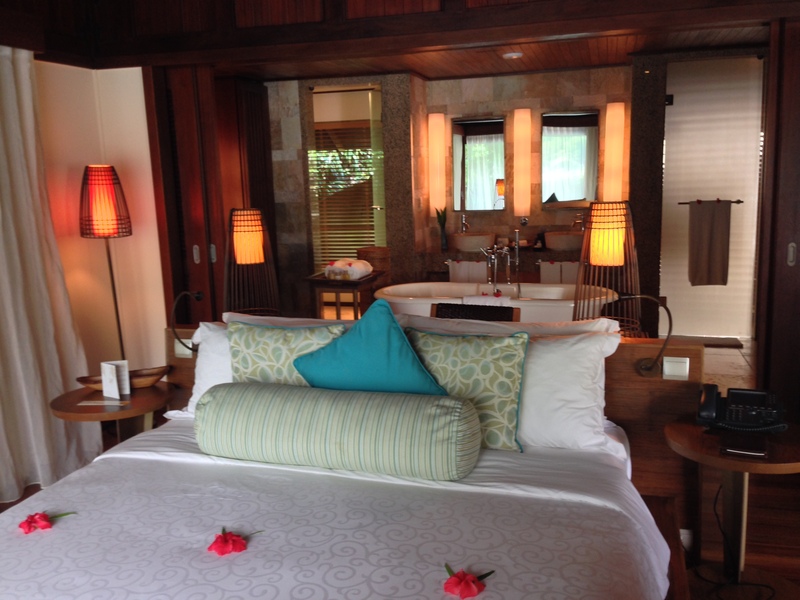 We stayed in the Family Villa and loved our private lap pool, and spacious accommodations. There are 5 restaurants to choose from and every meal was delicious! 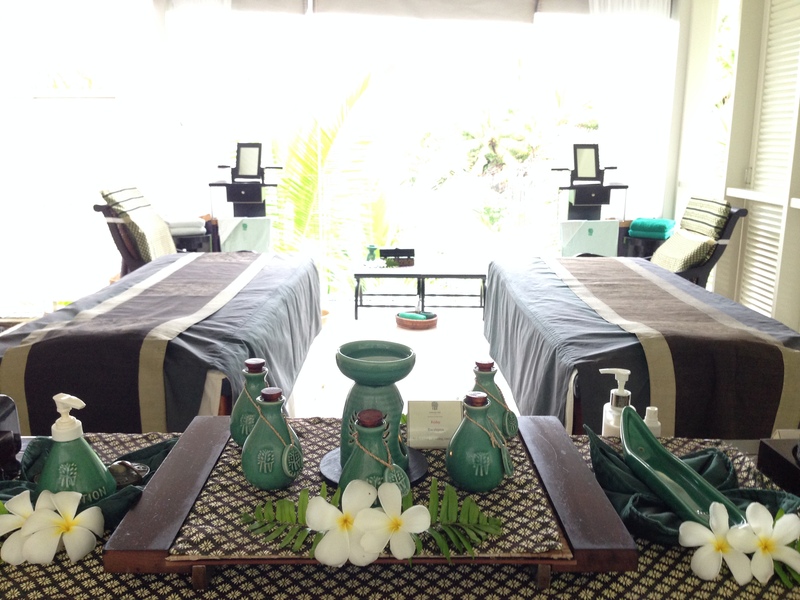 Visit Spa Village, and choose from a wide range of treatments. 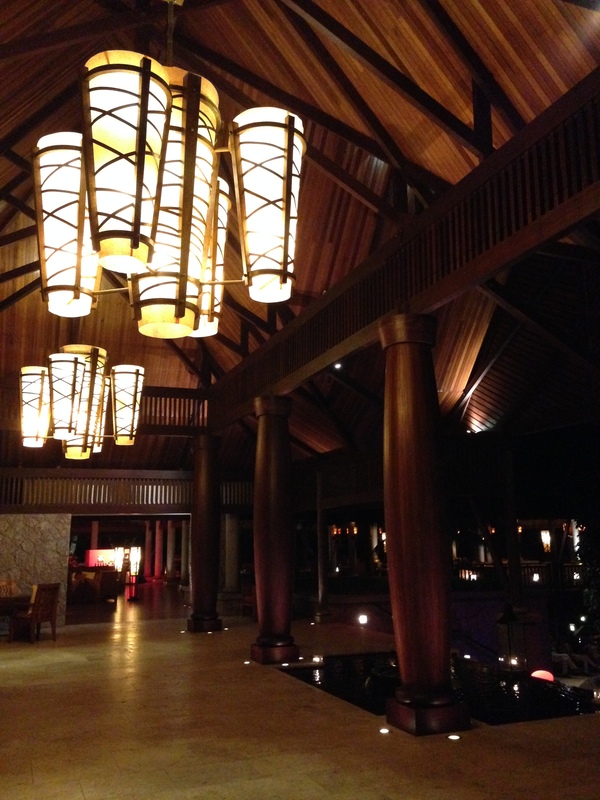 MAIA– An ideal place for honeymooners, or couples wanting to celebrate an anniversary or special occasion. Also, a perfect place for a getaway from the hectic demands of the world. When you enter MAIA, you feel as though you’ve left the world behind, and entered into a private refuge where tranquility surrounds you. 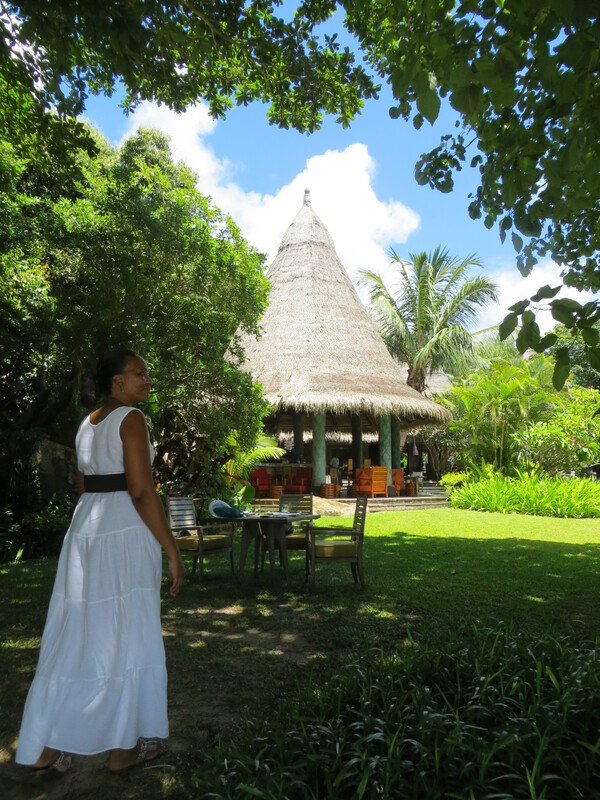 The MAIA Philosophy….is to “remember what you have forgotten.” Truly a palm filled private paradise! 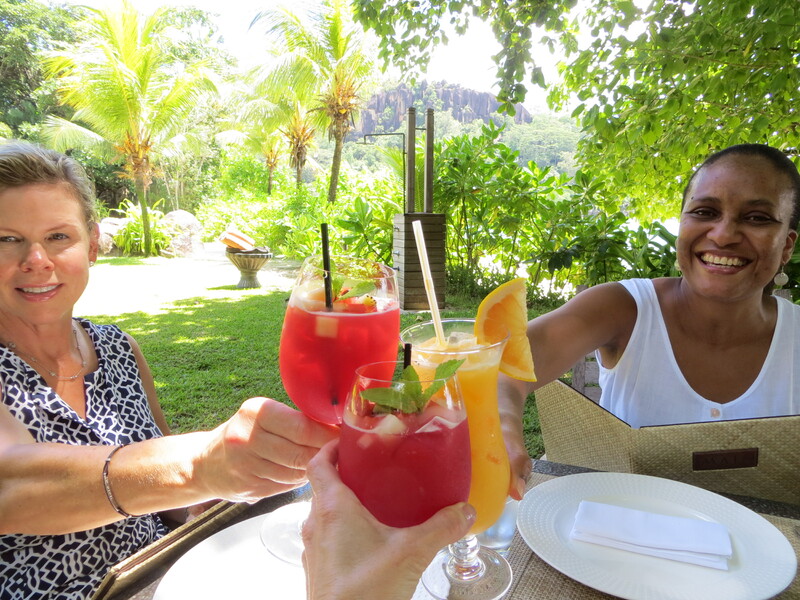 We lunched near the secluded Anse Louis beach at Tec-Tec Restaurant and listened to the birds sing while savoring the gourmet cuisine. 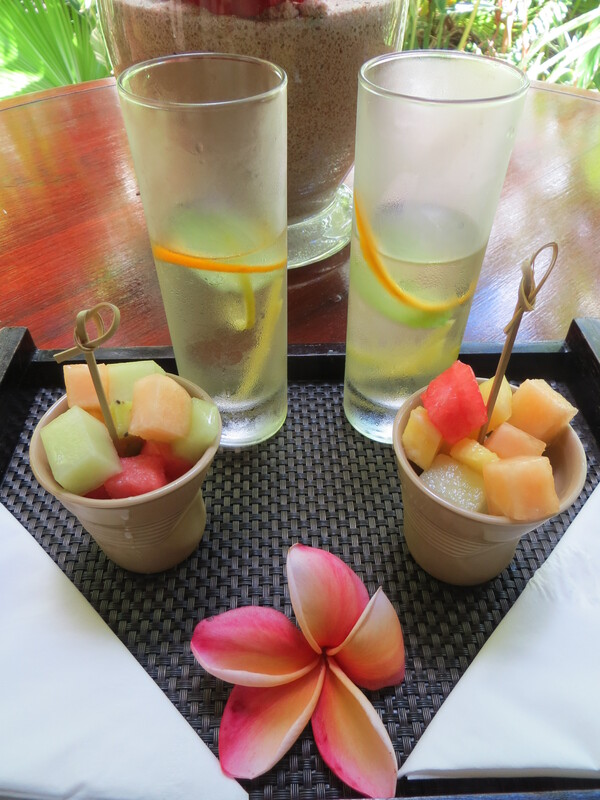 After a heavenly lunch, we visited the Balinese-style Spa where we relaxed under an open-air pavilion with a thatched roof, then experienced world-class massages. 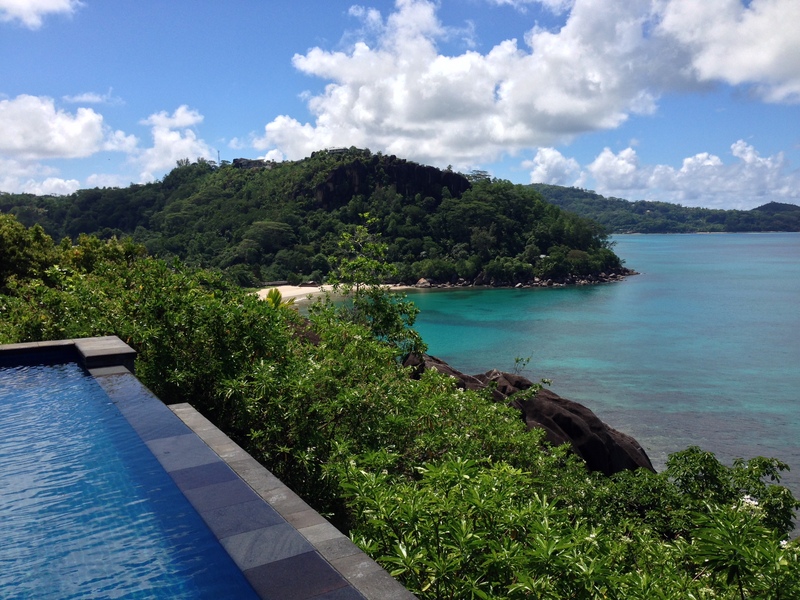 Four Seasons Resort Seychelles – The Four Seasons Resort Seychelles is located in a lush corner of the island and offers tree-house living with spectacular ocean views. 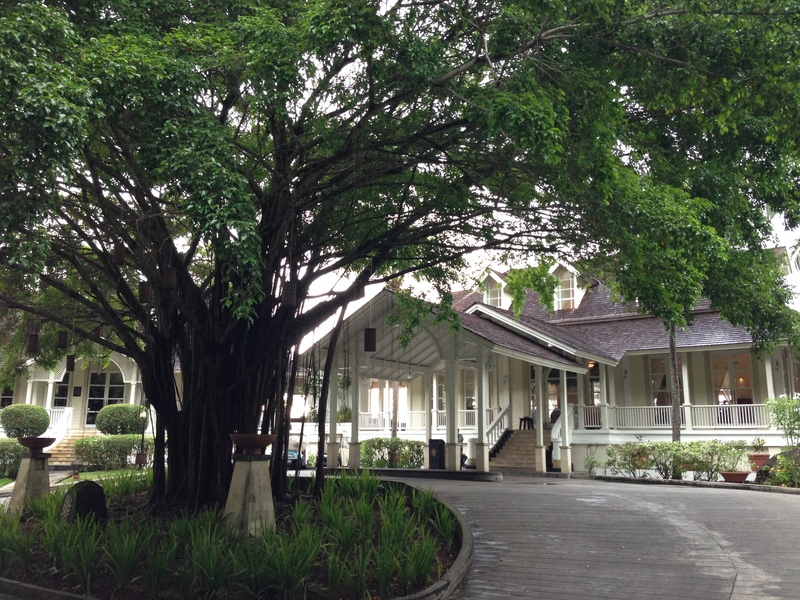 We saw families, couples, solo travelers enjoying this resort. 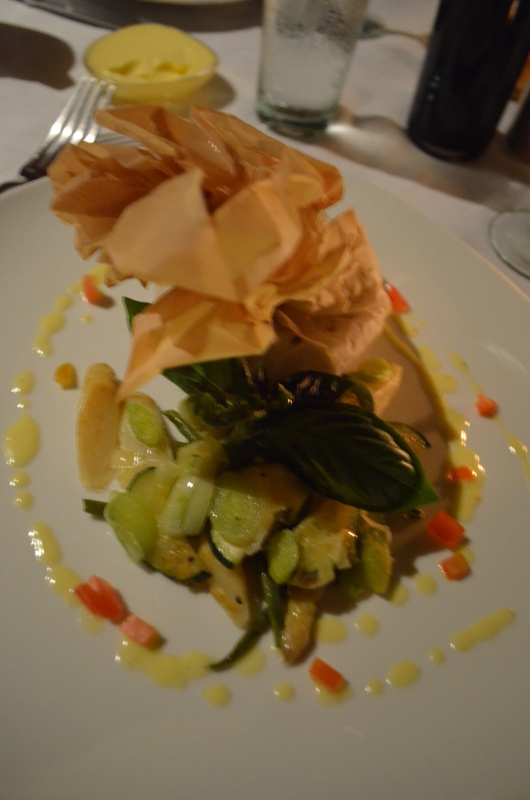 We dined at the ZEZ open-air restaurant and savored the contemporary interpretations of western cuisine. 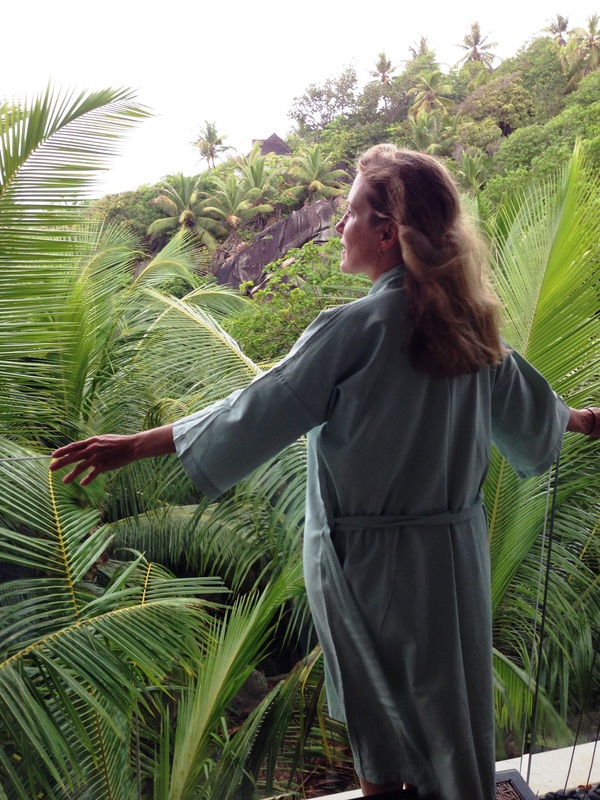 The Four Seasons Resort Seychelles takes care of you from head to toe, at their hill-top Spa. 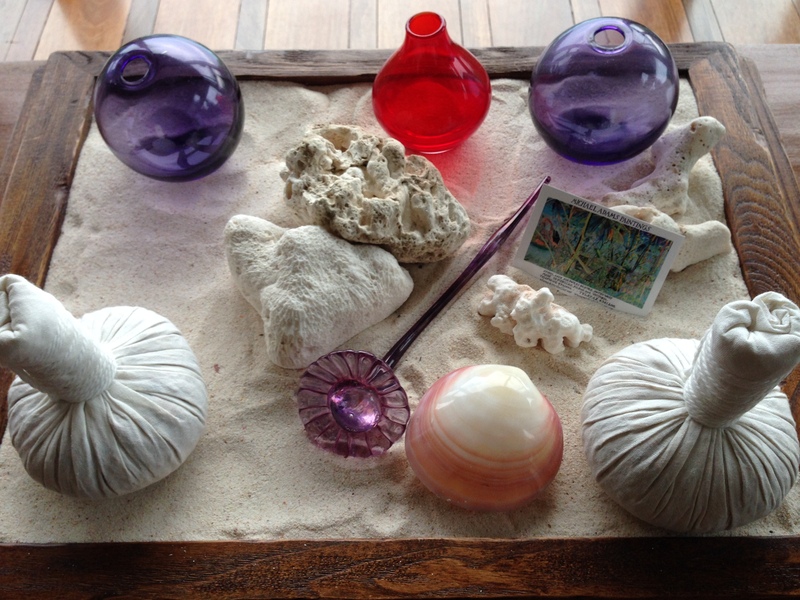 We recommend their signature massage that draws on influences from around the world, techniques from Europe and Asia. 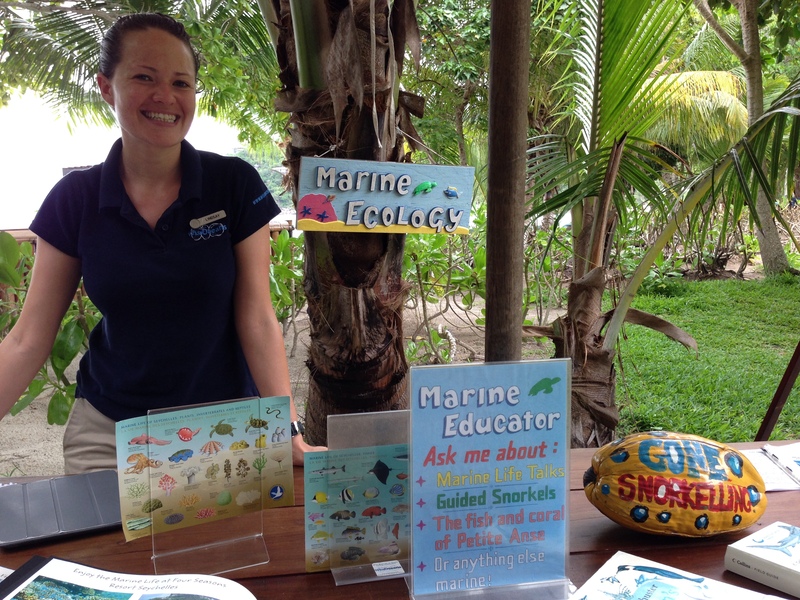 Also, good to know that there is a resident Wise Oceans Marine Educator to teach children and families about the local marine life. Banyan Tree – Majestic granite mountains encompass a pristine beach and hillside of palms at the picturesque Banyan Tree Resort on the southwestern coast. 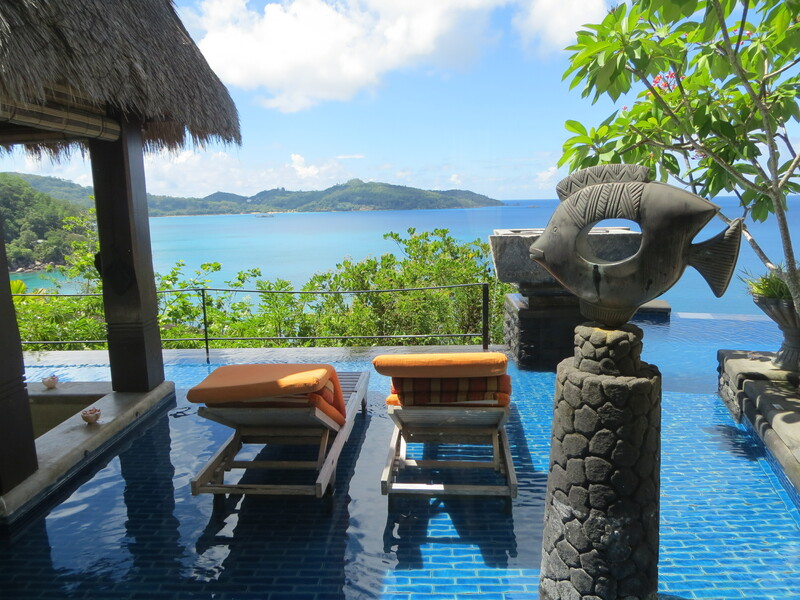 Known to be one of the first resort hotels in the Seychelles, Banyan Tree has 60 Creole-style villas where guests can enjoy views from their verandah, or walk along the beach of Intendance Bay. 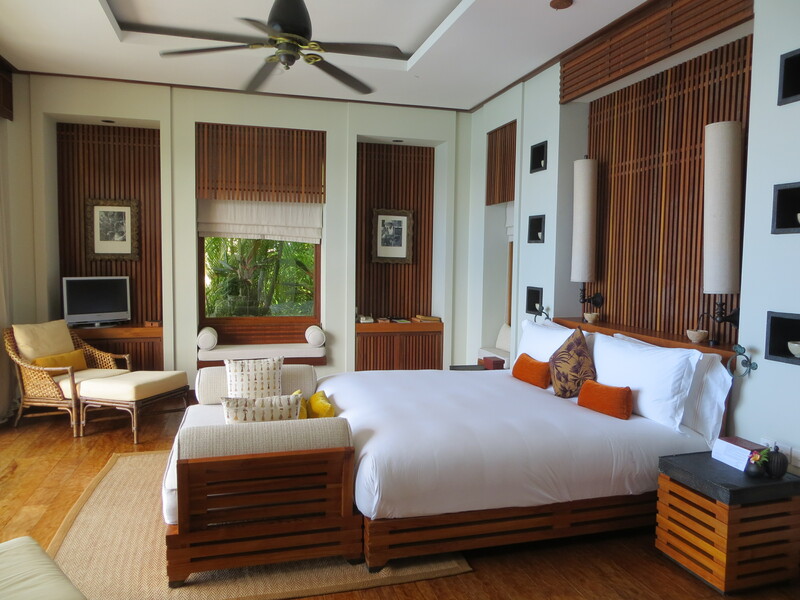 The Hillside Pool Villa was a favorite – a spacious room and bath, private verandah, pool and terrace with total privacy. 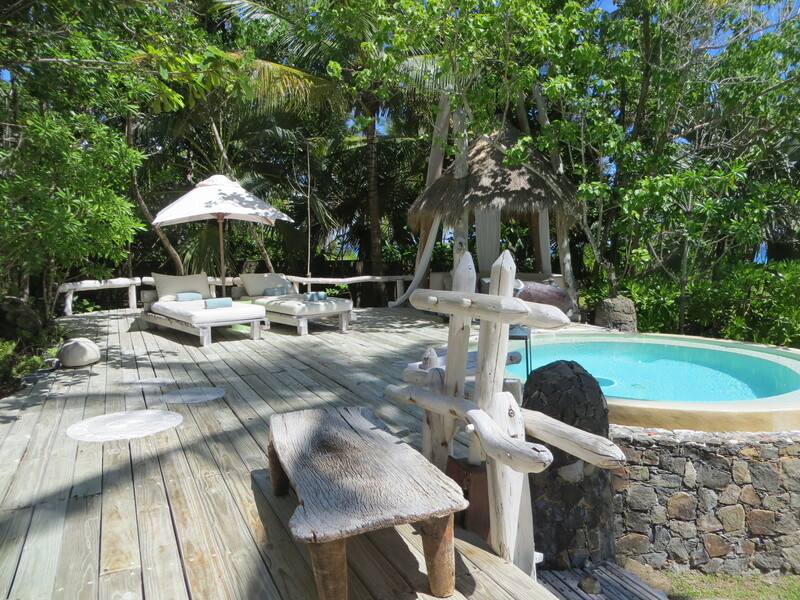 Anyone staying here will feel like they are the only one on the island. 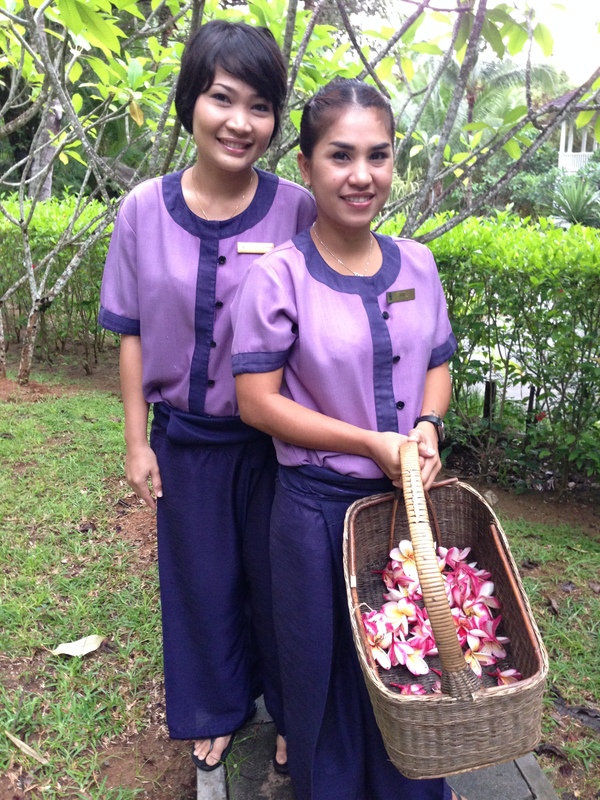 The award winning Banyan Tree Spa offers treatments based on Asian healing traditions dating back centuries. 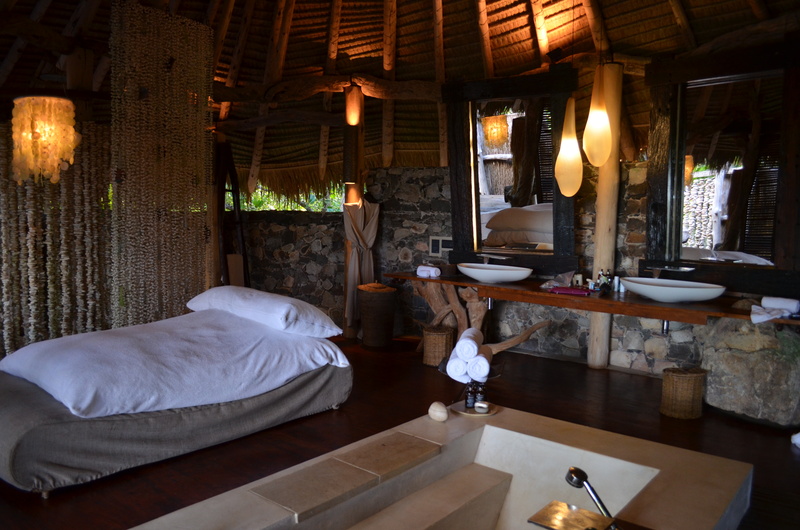 Skilled therapists pamper you in an open-air luxury pavilion on the jungle hillside at the resort. Our favorite restaurant, Saffron, presents award-winning Thai cuisine. 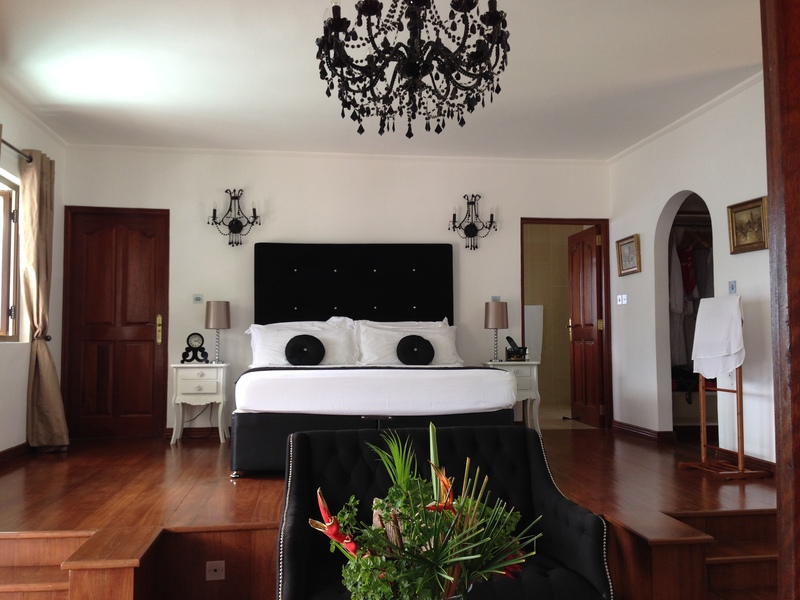 Petit Amour – if you want to stay at a luxury home villa with stunning views of the Indian Ocean and islands in the distance, you’ll want to stay here. 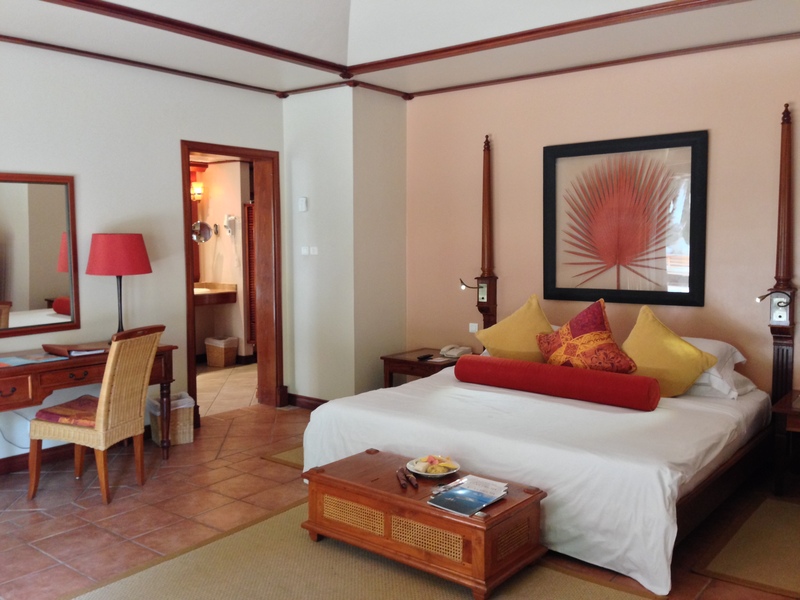 Located in the north west of Mahé, you can check into one of the four suites/rooms, dip into the pool, relax on the terrace with a refreshing drink. 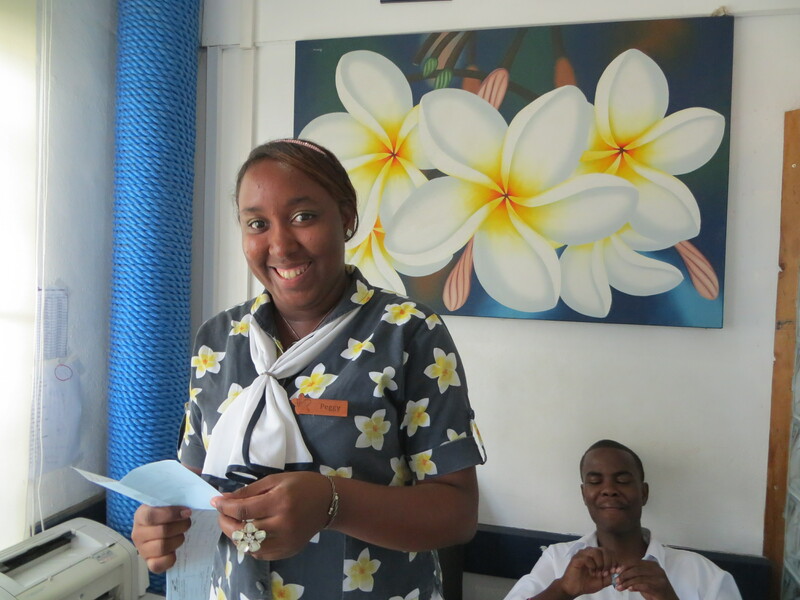 The friendly staff helps you feel at home. Enjoy a meal on the top floor where you can dine on the balcony with panoramic views. 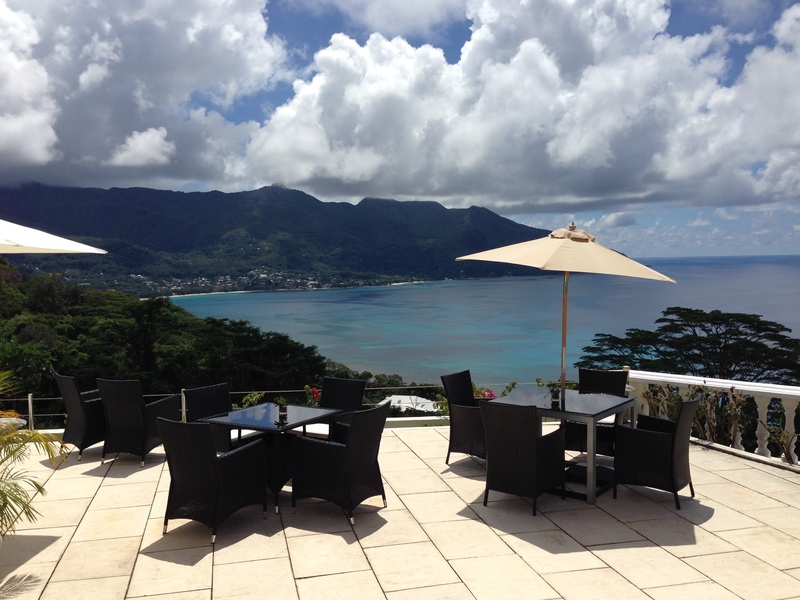 Only a 20 minute drive from Victoria, the villa is located just a few minutes from one of the most popular beach locations on the island – Bel Ombre, Beau Vallon, and Glacis are towns nearby with restaurants that serve Creole, Fusion, and European Food. 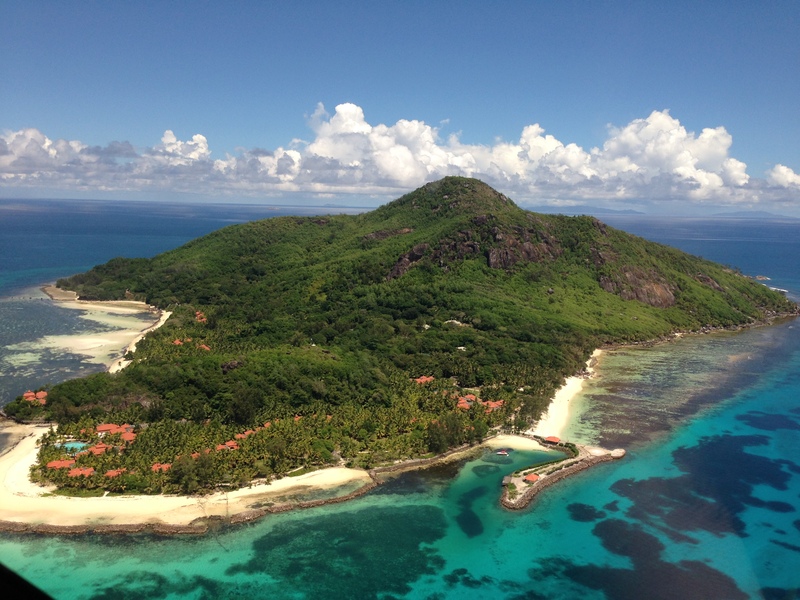 Sainte Anne Resort & Spa, a Beachcomber Property – Families and couples enjoy the proximity of Sainte Anne Island to the main island of Mahé, just 5 minutes by the resort’s boat to an exclusive private island. 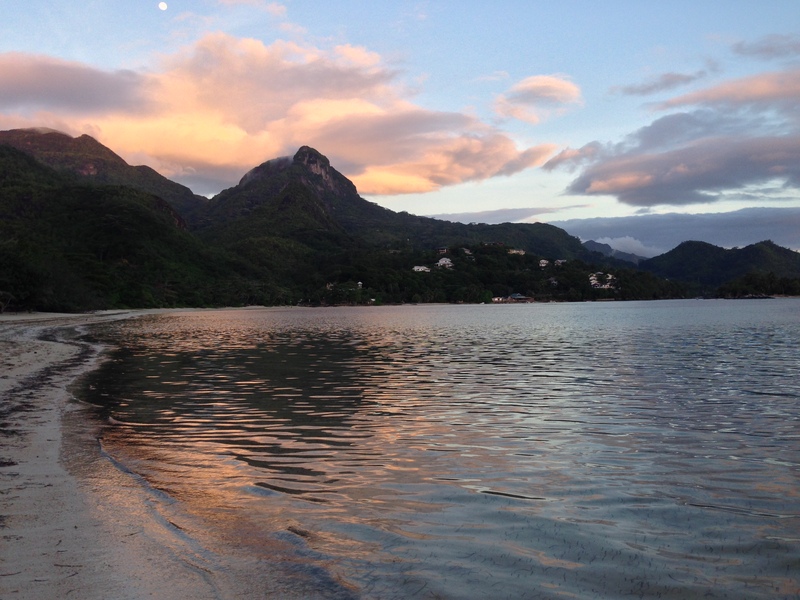 The resort has 87 villas and the island’s beaches are minutes from your room. 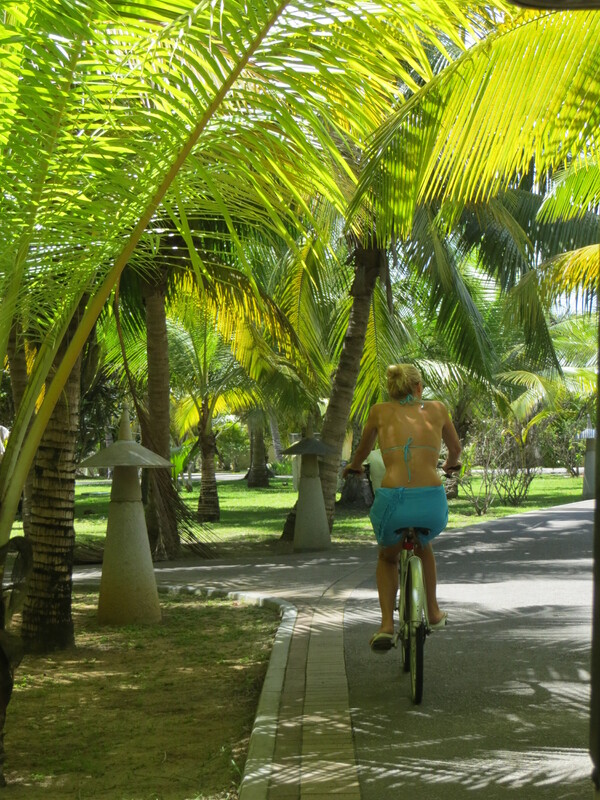 Each guest can get around the island and resort on foot, by bike or golf cart. 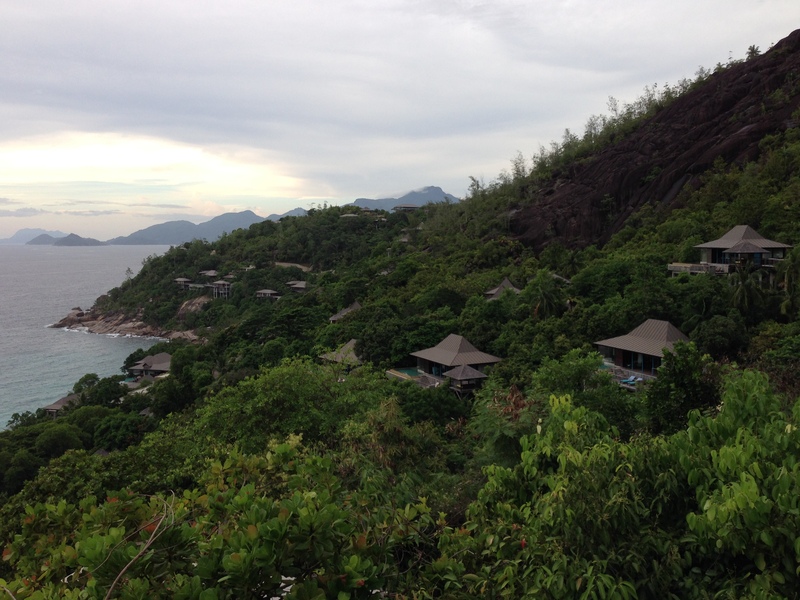 While we stayed at this resort, we watched a hawksbill turtle lay 20+ eggs. Our guide told us she will lay about 200 eggs, and they will hatch in 45 days. 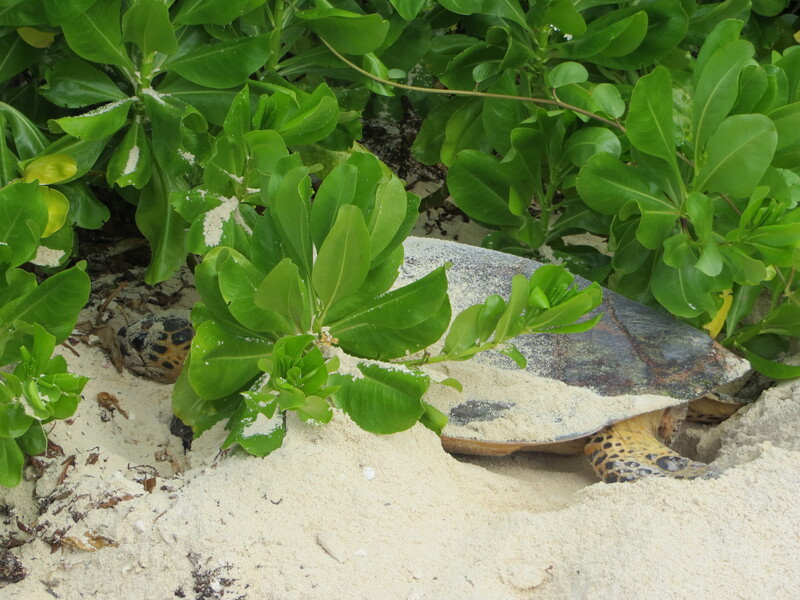 This island is known to be a nesting refuge for sea turtles. After exploring the island, you’ll want to dine at one of the five restaurants that offer gastronomic variety and a mix of eclectic cuisines. 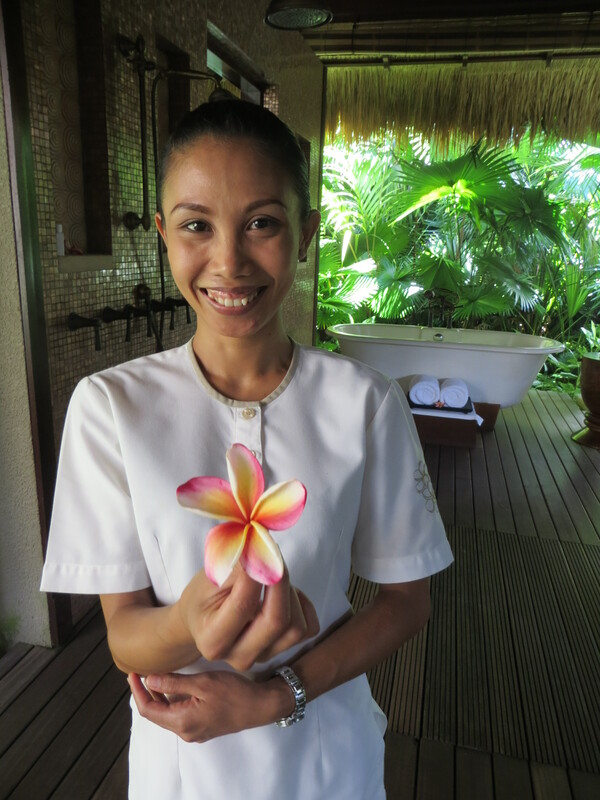 Then book a treatment at the resort’s Clarins Spa, where you can enter a sanctuary of relaxation. 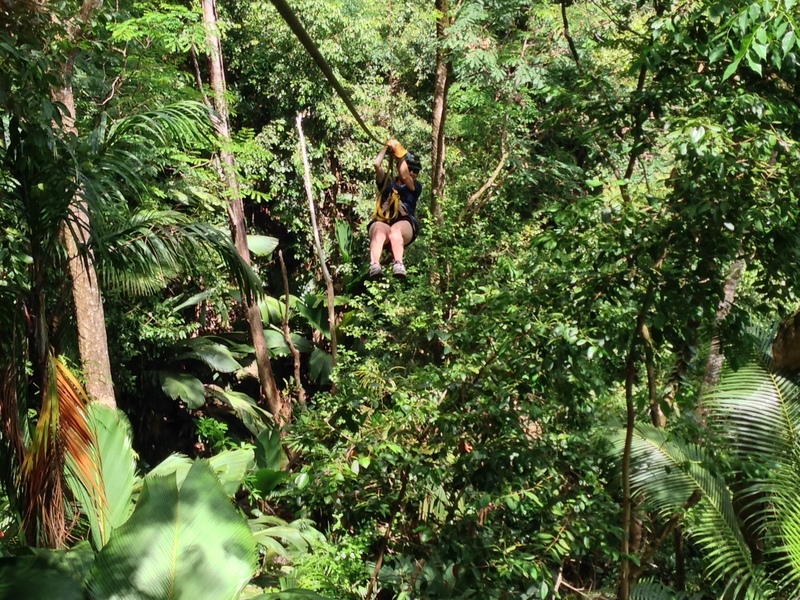 North Island – Ready for a once in a lifetime tropical experience? 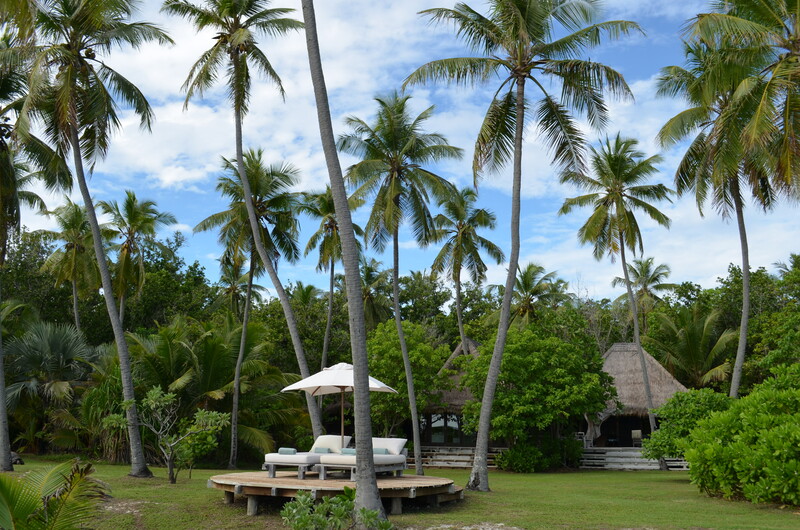 The North Island Resort is the ONLY resort on the private North Island, and combines natural beauty with sheer luxury. Prince William & Duchess Kate came here for their honeymoon, and must have found total privacy and barefoot luxury at this tropical Eden. 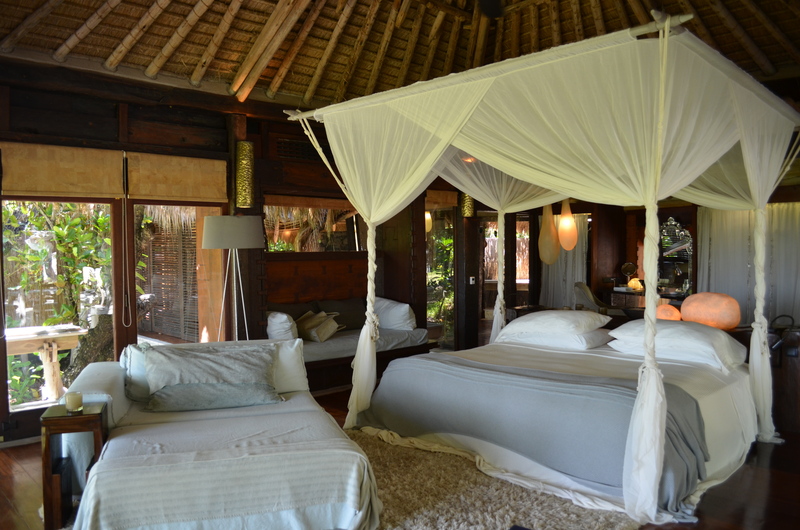 Celebrities and others have found their Eden when they stay in one of the 11 luxury hand-crafted villas. 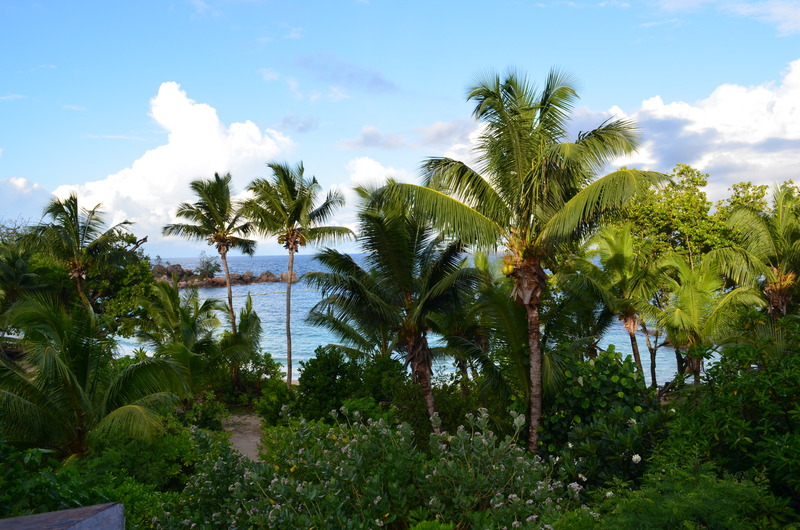 Each villa has a backyard that opens up to a pristine, powder-white sandy beach. 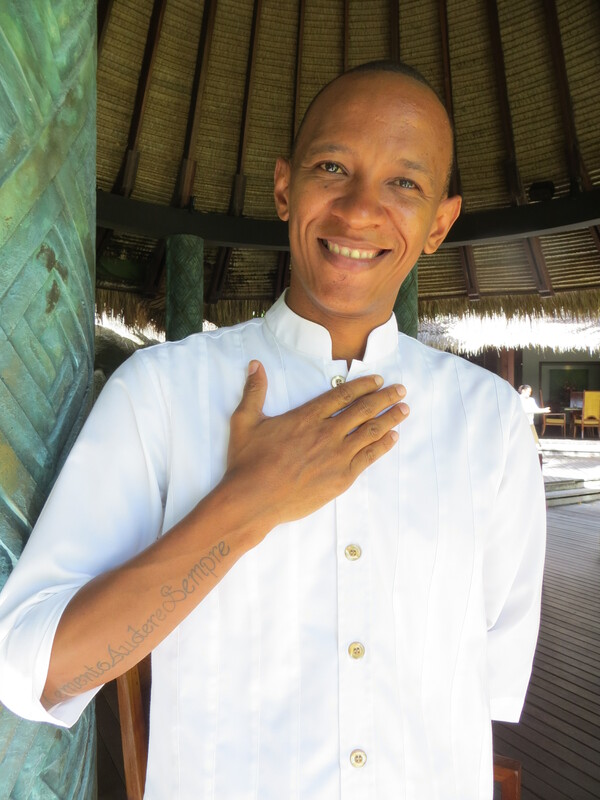 Each villa has a steward who works magic and does everything without guests knowing how it happened. 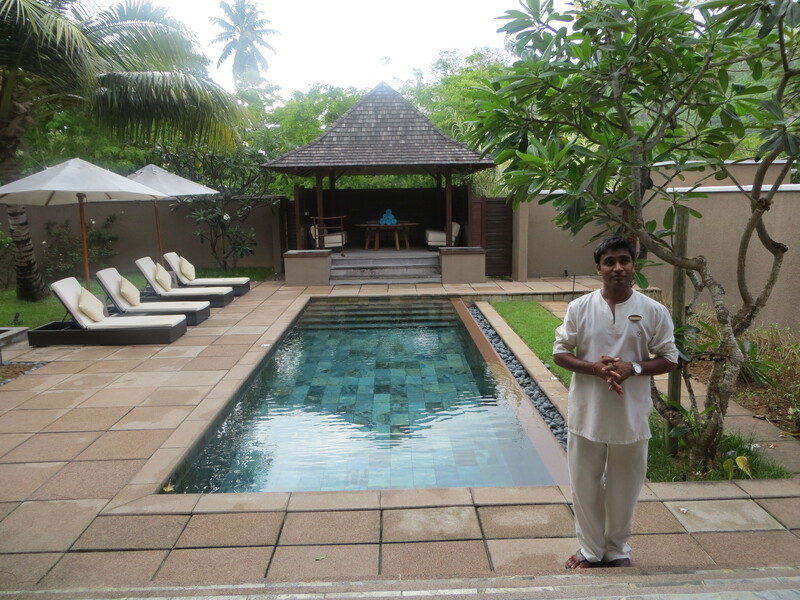 Douglas was our villa steward and took incredible care of us throughout our stay. 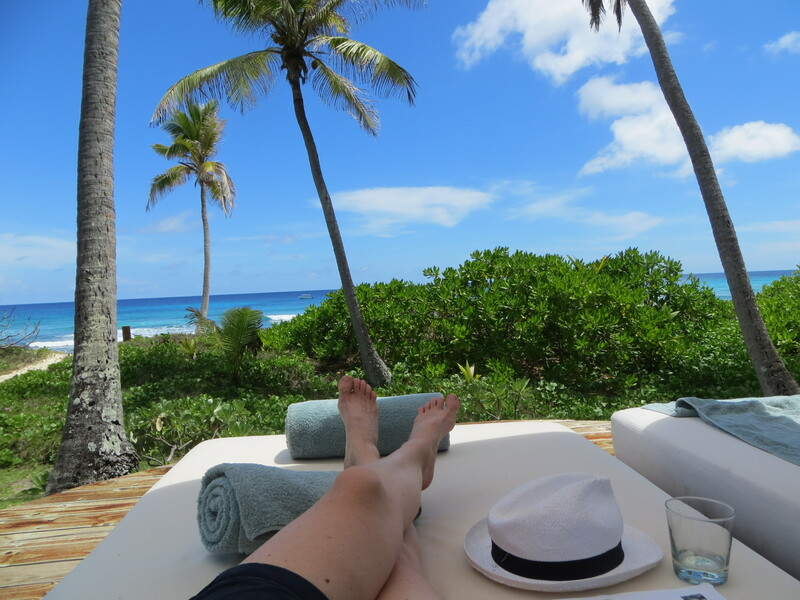 From memorable meals to intuitively knowing your next need, desire, there’s really nothing you need to do but to relax! 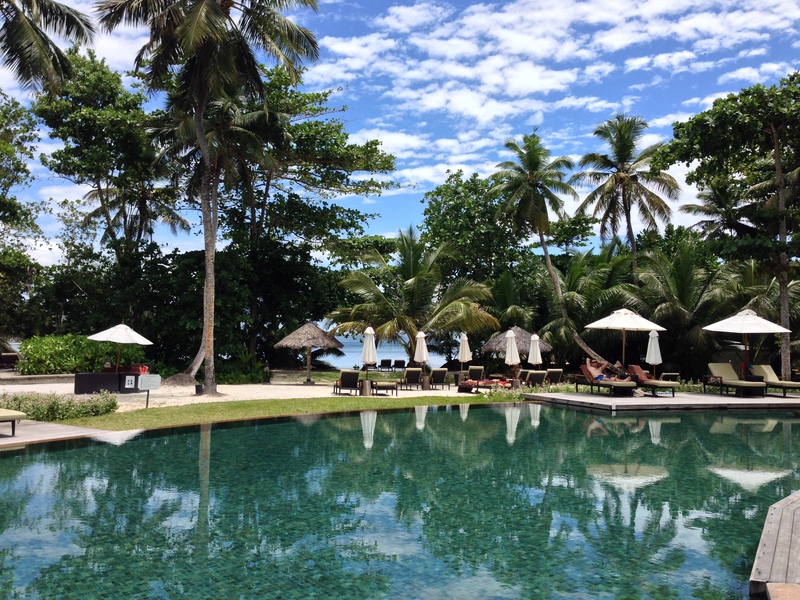 The island’s main area includes beautifully designed lounge and dining areas, health spa and gym with the best views of the Indian Ocean, library and dive center, and a rim-flow swimming pool built into a granitic outcrop. Guests can explore the island on foot, by bicycle, by golf cart, and discover the western side of the island where there is a sunset bar and restaurant, or the private honeymoon beach where you feel like you have the world to yourself. 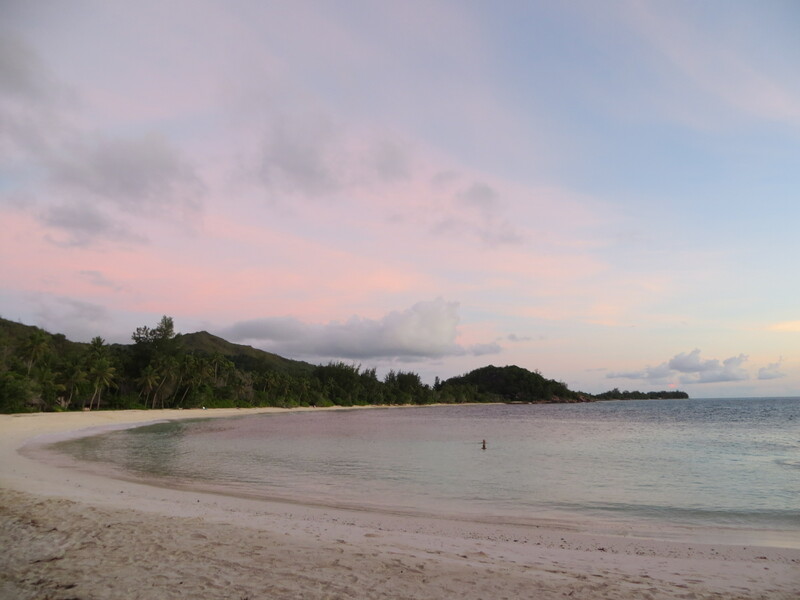 Constance Lémuria – a luxury 5-star eco-friendly hotel set on the northwest side of the Praslin with three of the most beautiful sandy beaches in the world, including Anse Georgette. 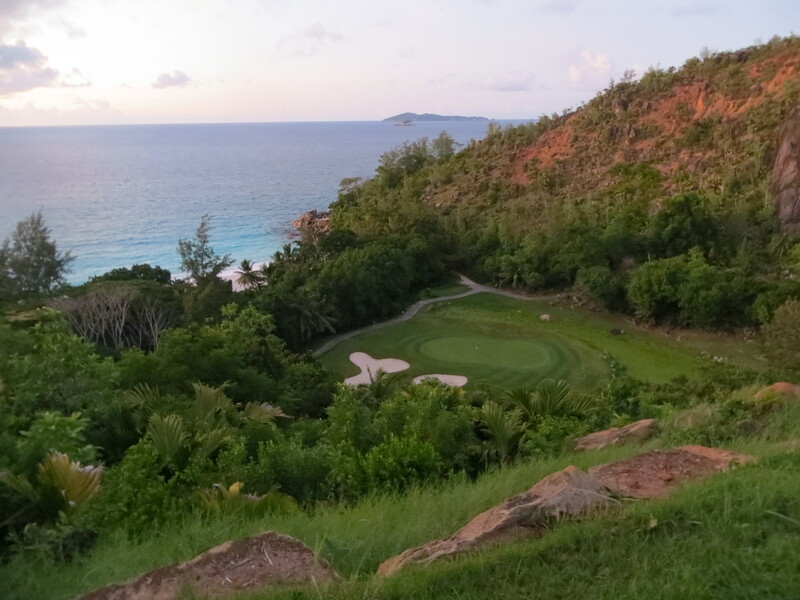 Fine dining at three world-class restaurants, and plenty to do – watersports or play the 18-hole golf championship course. Don’t check out without getting pampered at the Spa de Constance. 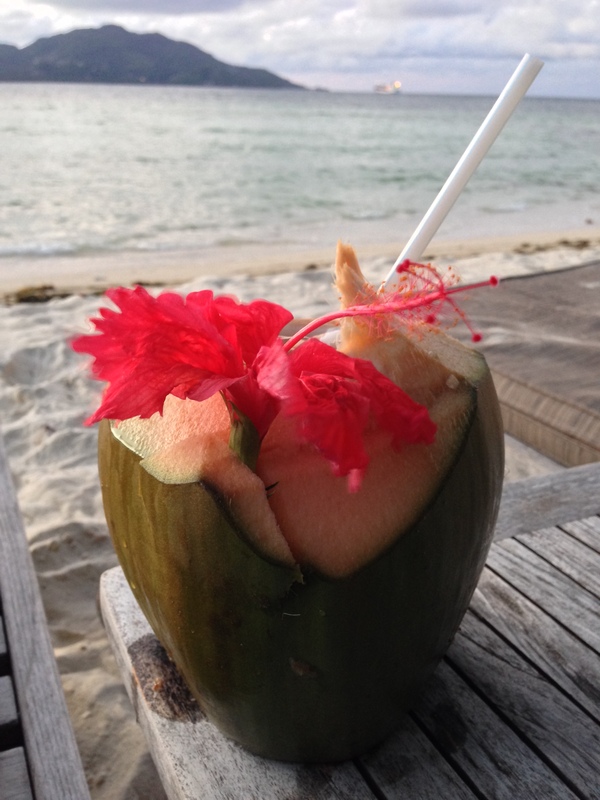 Cat Cocos: We took a fun trip between islands, and “Cruised Through Paradise”. 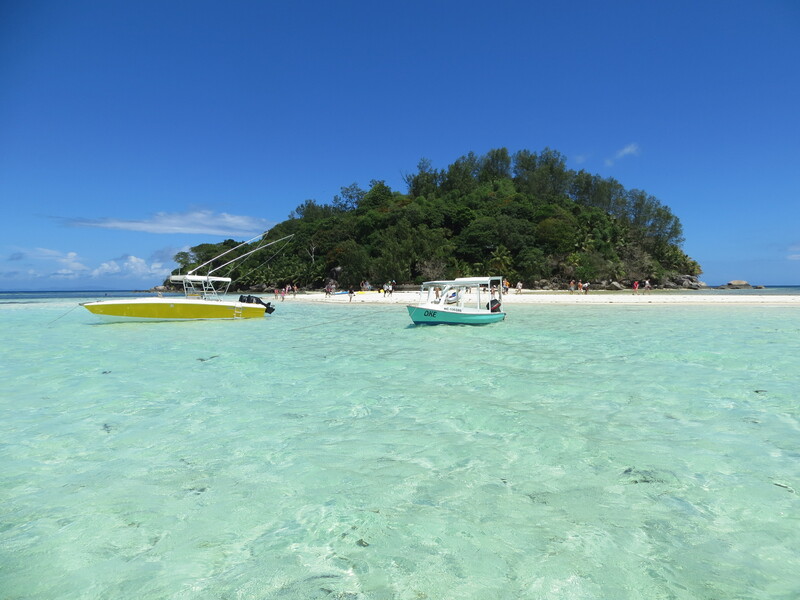 Cat Cocos offers two large catamarans to quickly get to islands nearby – only a 1 hour ride from Mahé to Praslin, or 15 mins ride from Praslin to La Digue. Check their site for the schedule and details on how to book a reservation. 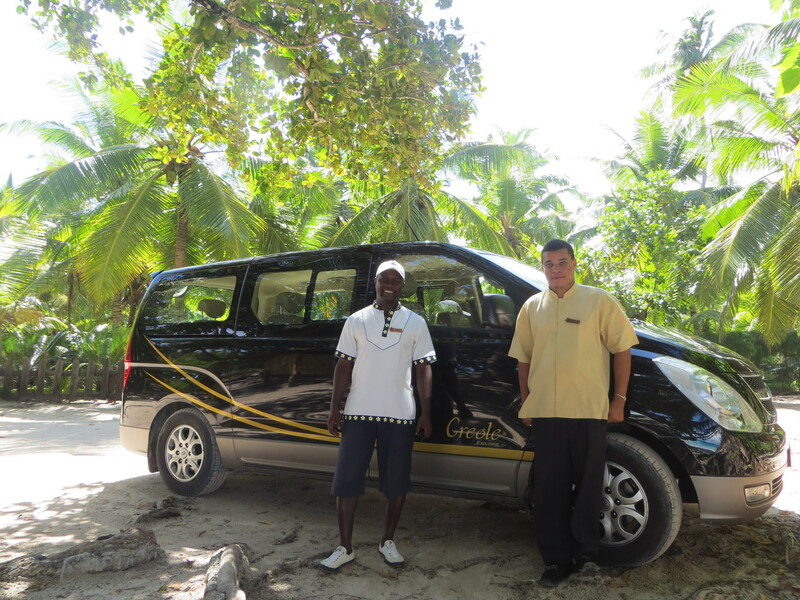 Creole Travel Services (CTS): CTS provided us with professional, on-time, smooth transfers and a private tour of Praslin. 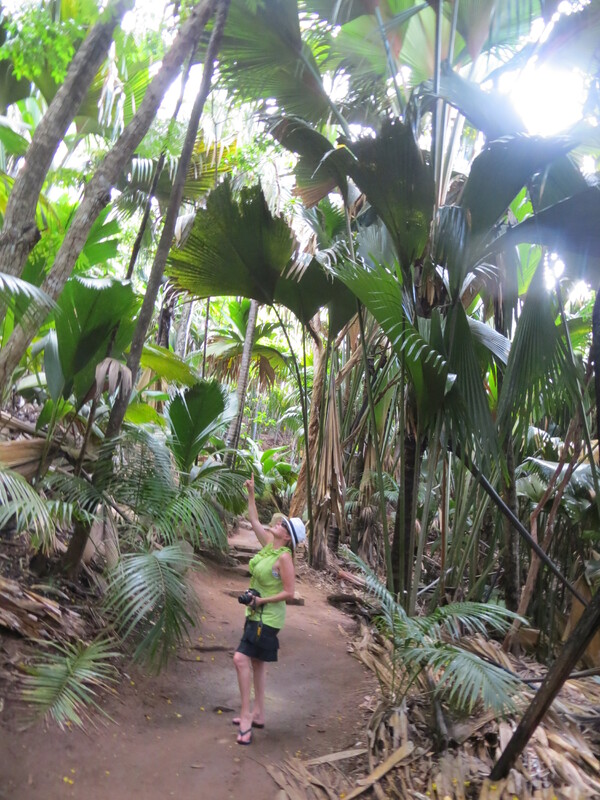 We had a fantastic CTS guide for the tour of beautiful Vallée de Mai. 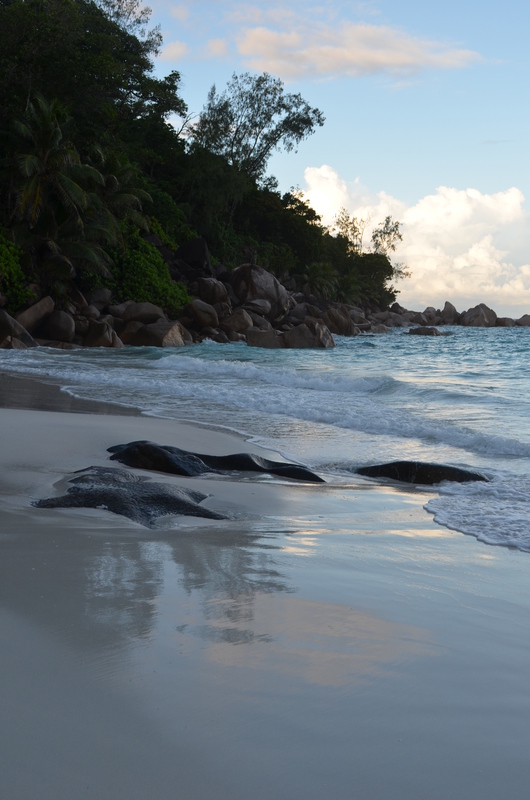 CTS is ready to help with your holiday planning throughout the Seychelles islands making your dreams a reality. 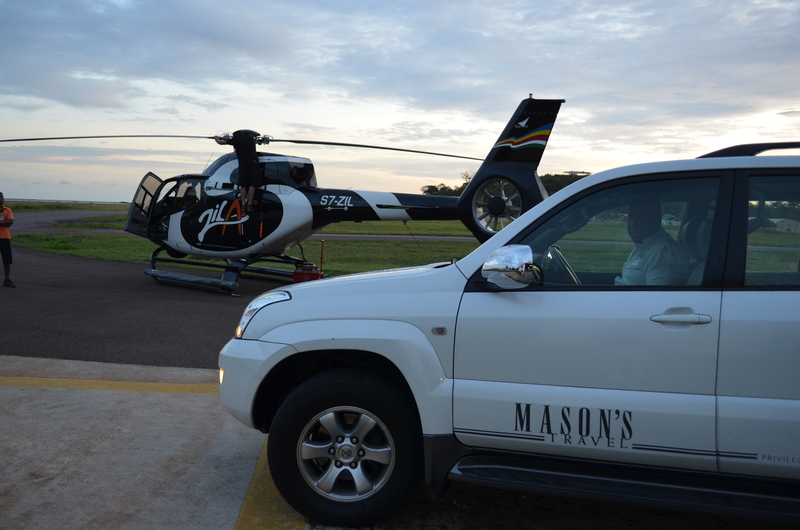 Masons: Mason’s provided us with transportation services and offered us guided island tours. 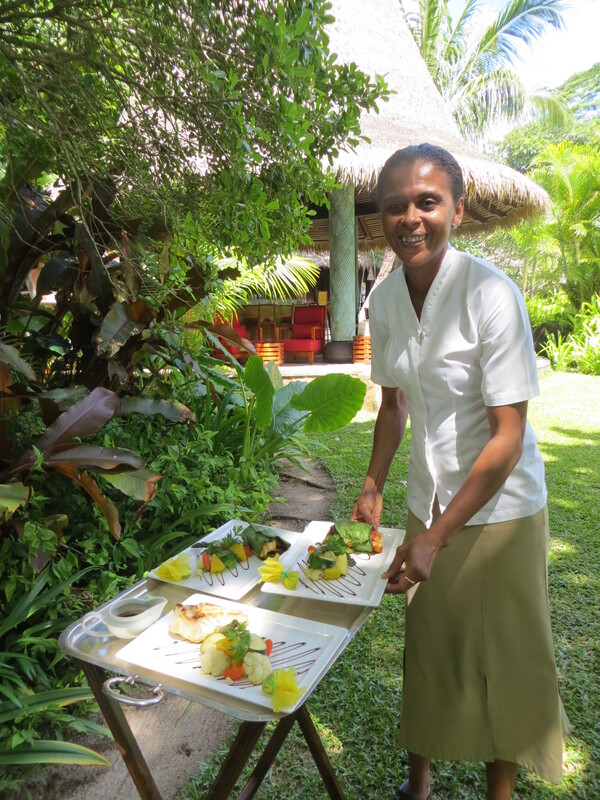 Their company has been offering visitors with unique holiday experiences for 35 years, and provides excellent 24/7 service tailored to share the best of the Seychelles. If you need assistance planning your trip, Mason’s can help with flights, transfers, activities, hotels, car rentals, etc. 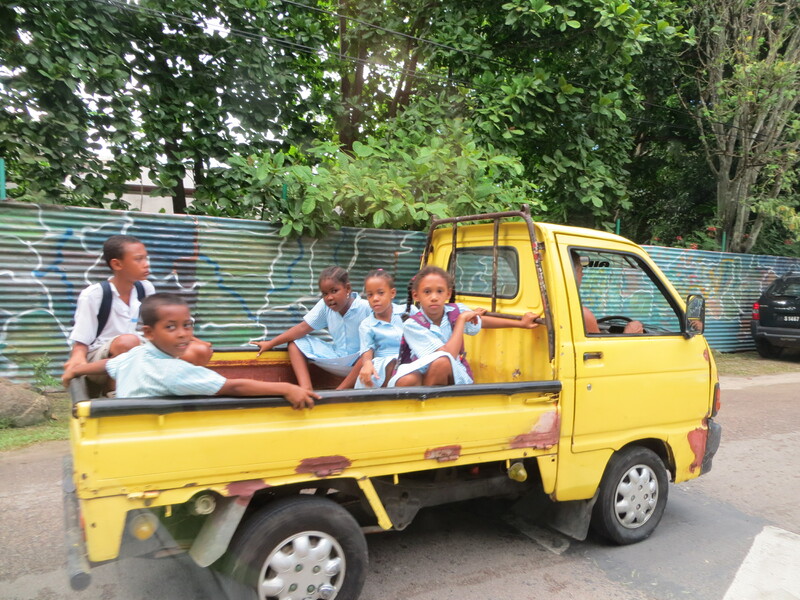 Zil Air: Ready to island hop? 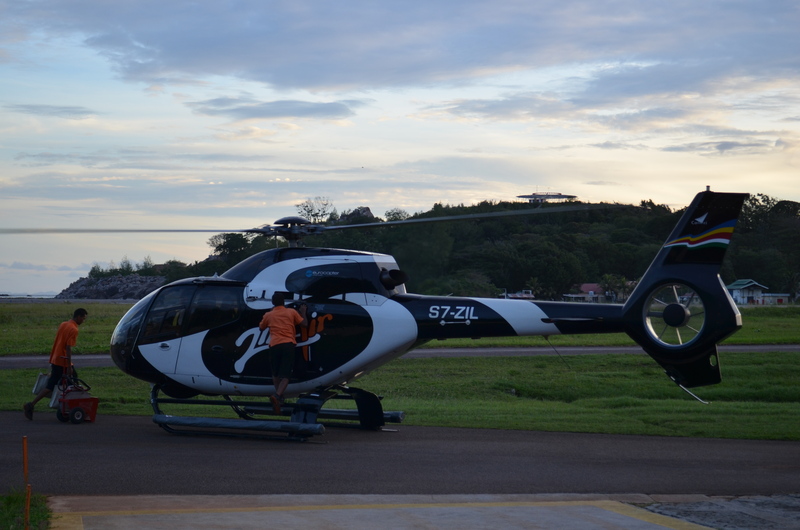 Book with Zil Air – they provide premium luxury helicopter services in the Seychelles. 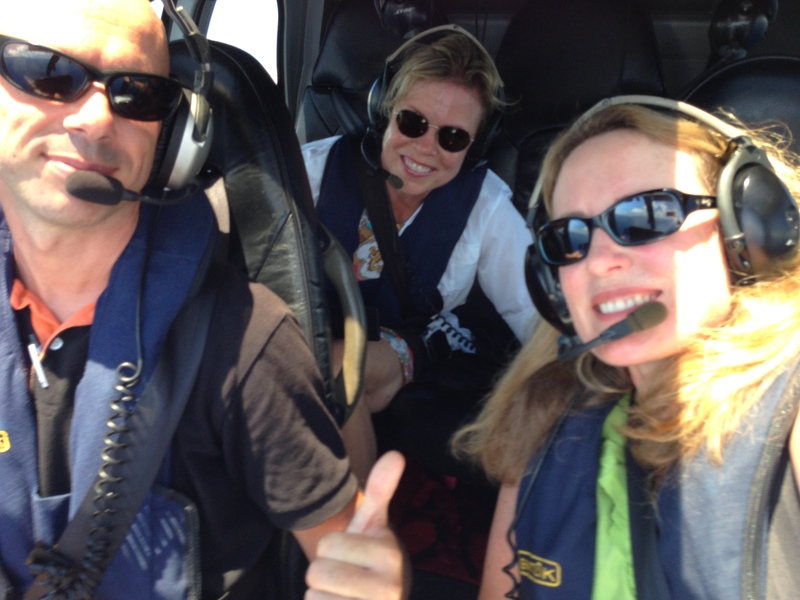 We arrived to the VIP first class lounge with free wi-fi, received cold towels, refreshments, and then we were escorted to the helicopter for a comfortable air-conditioned flight with an experienced and friendly Captain who flew us to our luxury island resort on North Island. 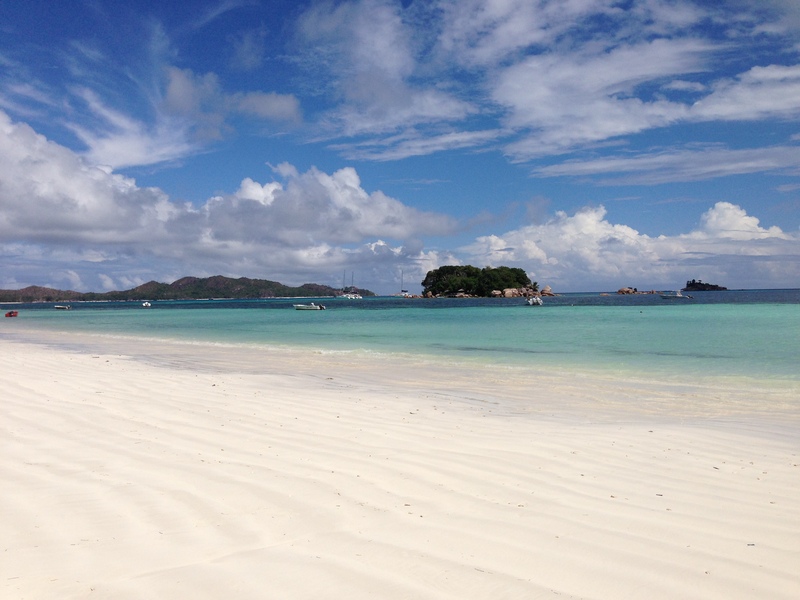 We saw unforgettable panoramas and arrived to our island within 20 minutes. 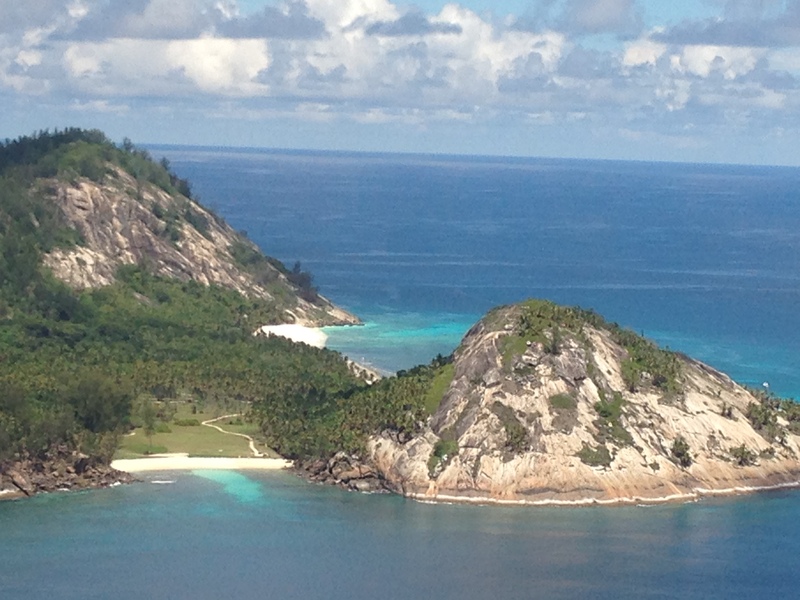 Zil Air flies throughout the Seychelles Archipelago, with access to 21 licensed helipads and 7 landing strips. 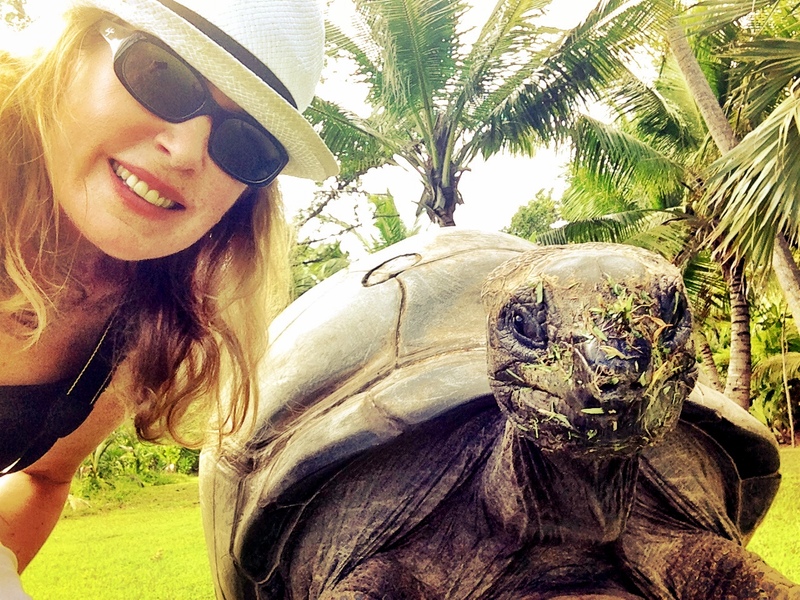 How to Get to the Seychelles? 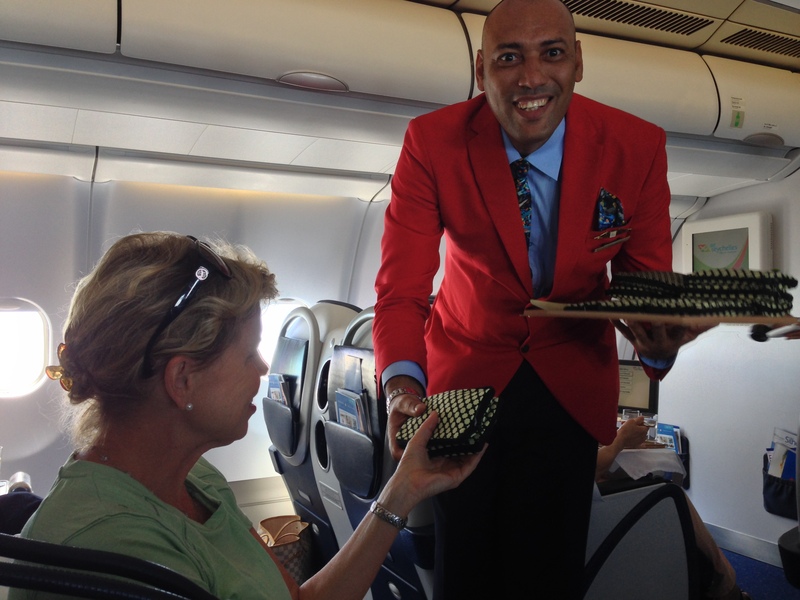 Air Seychelles – We had a fantastic experience flying Air Seychelles and received Creole welcomes and excellent service. 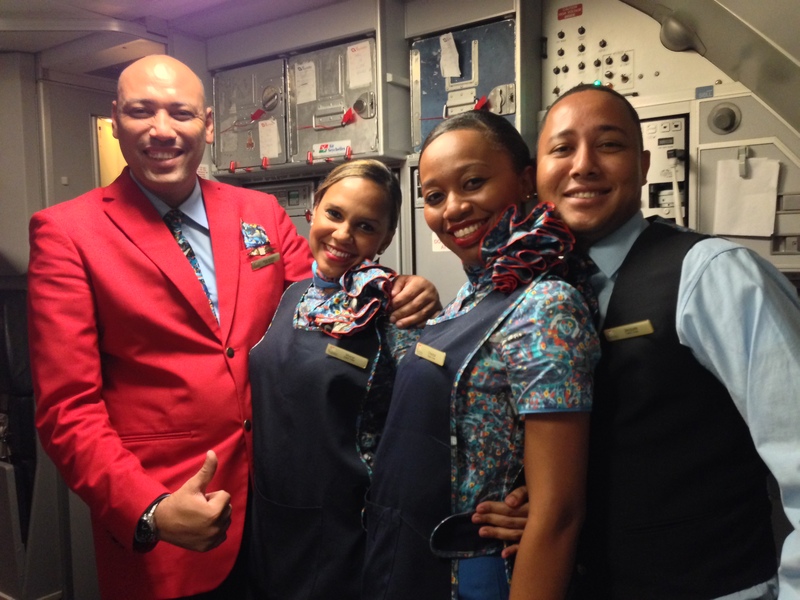 ‘Fly the Creole Spirit’ with Air Seychelles, the national airlines of the Republic of Seychelles since 1978. 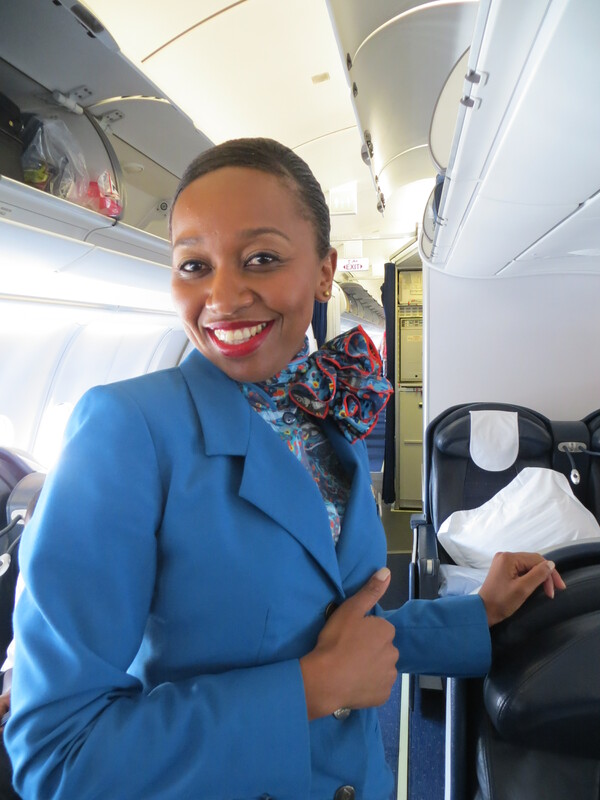 Air Seychelles flies to Mauritius, Johannesburg, Abu Dhabi and Hong Kong, and will be introducing new routes soon. They now are a Four Star airline rated by Skytrax. 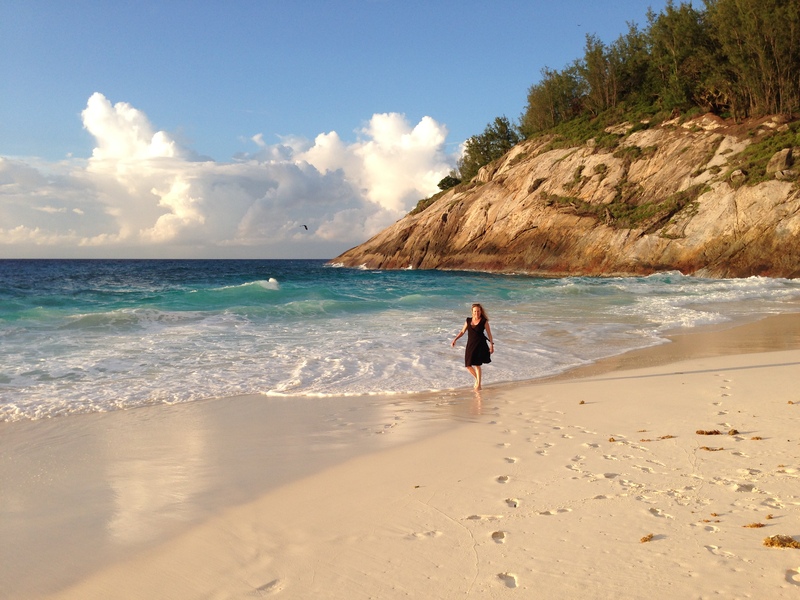 After a short 5 hour flight on Air Seychelles from Johannesburg to Mahé, we found paradise in the Indian Ocean, the ultimate tropical escape, just off the east coast of Africa. 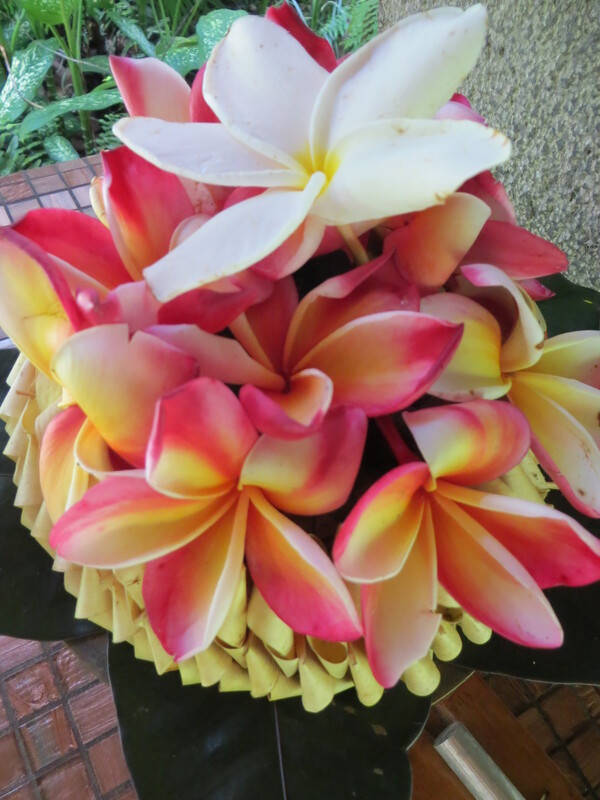 Acknowledgments: we would like to thank Air Seychelles, Zil Air, North Island, Banyan Tree, Constance Ephelia, Constance Lemuria, St. Anne, Petit Amour, Four Seasons, MAIA, Cat Cocos, Creole Travel Services, Mason’s for hosting us throughout our trip. Where are the Seychelles? The Republic of Seychelles is situated at 4 degrees south of the equator in the Indian Ocean and is made up of 115 granite and coral islands. Where is the International Airport? 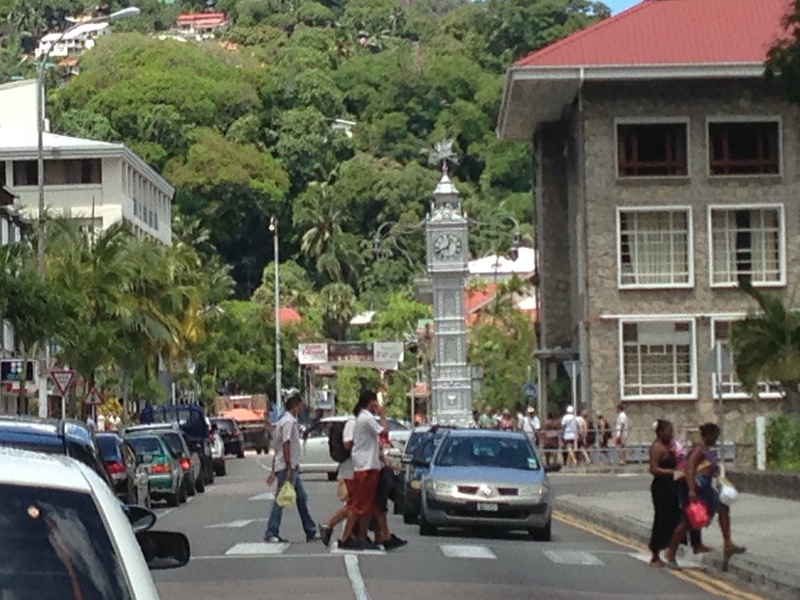 Located on Mahé is the largest island, and the capitol is Victoria. What is the Temperature? 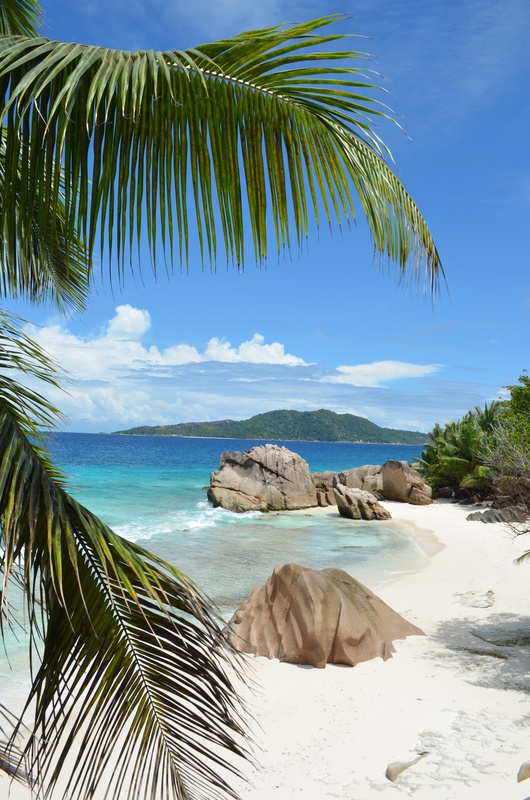 Located near the equator, the Seychelles enjoys a year round tropical climate with day and night temperatures between 26C/79F & 32C/90F.